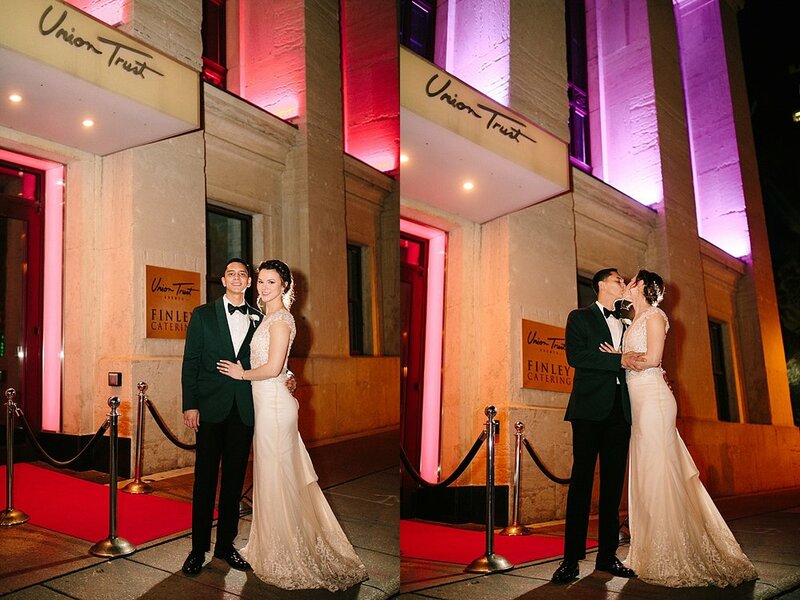 On one of the most beautiful February evenings, Kirsten and Tony stood outside of Finley Catering’s Union Trust in Philadelphia, snuggled up for a final portrait, colorful lights glowing on the portrait behind them. What. a. day. 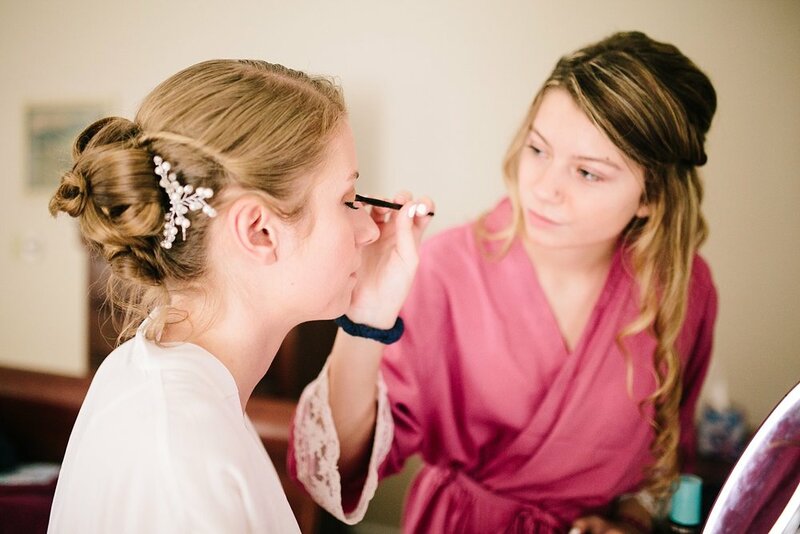 Hours before Kirsten and her girls were at The Loew’s Philadelphia having their hair and makeup done by Ariel Katrina and Emily Dimant (check these girls out, so much talent!) and anticipating the day. 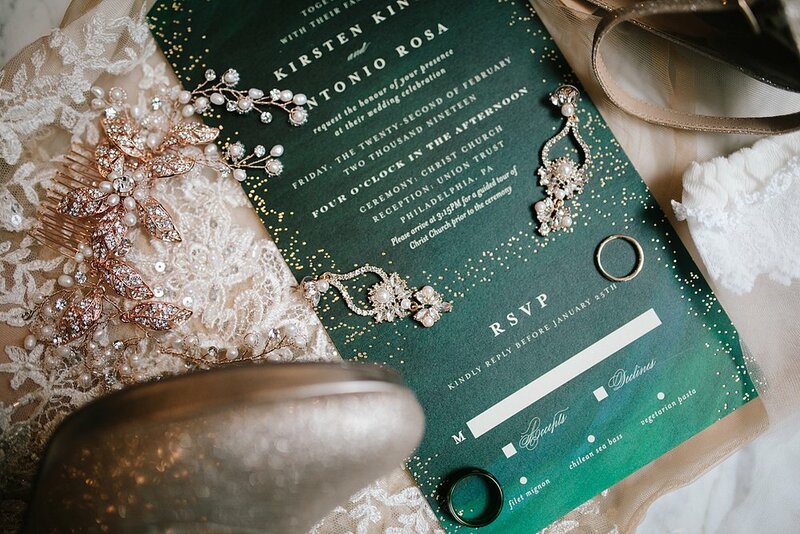 Kirsten’s details were spot on with her emerald green and gold color palette. 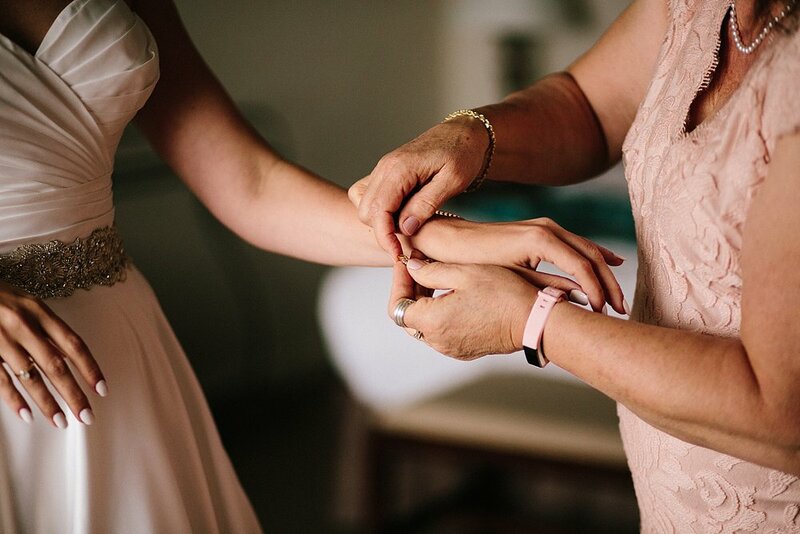 Her something blue was a beautiful family ring and she wore Tony’s mothers watch, I love when my couples add these details. 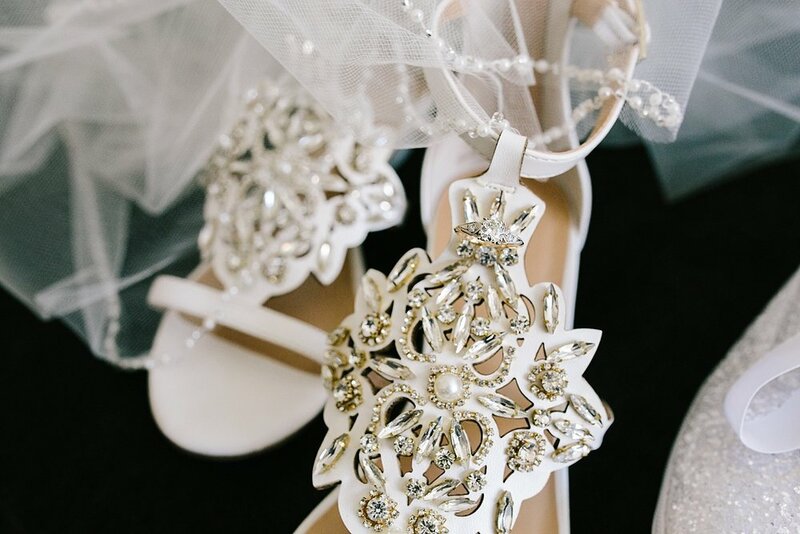 Not only a perfect accessory but what a beautiful and meaningful way to keep loved ones close <3 Everything was so elegant, but the kicker was her stunning gown. A 3-piece dress with a gorgeous lace leotard and detachable blush train that was added halfway through portraits. I’m also going to take this moment t note Kirsten’s lacey socks that she chose to wear with her heels - this should become a thing. Such a cute touch! A few floors away the guys were also getting ready, putting on their bow ties and tuxes. 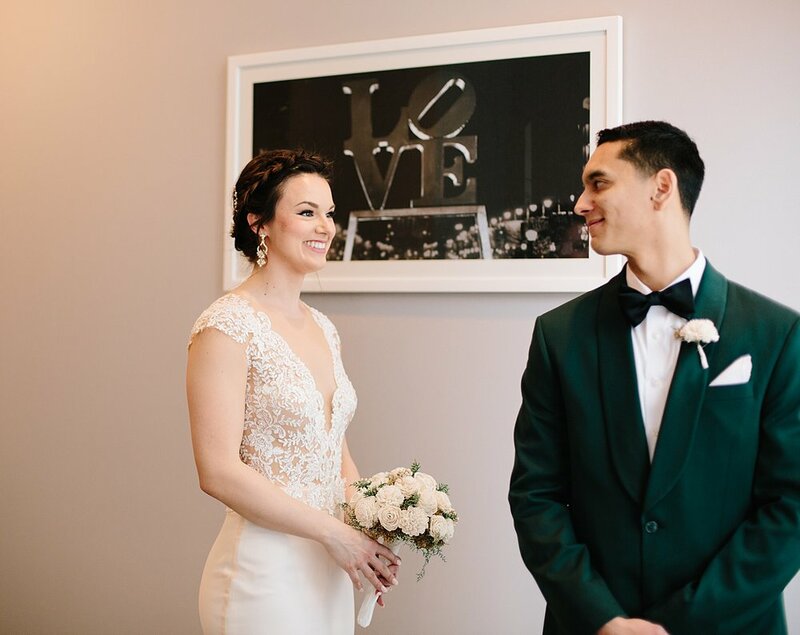 Tony completed his look with a killer green jacket (which matched the inside of his wedding band), and soon enough we were headed to their sweet first look! Portraits are always a different experience in the city, with the energy of all the people around you, everyone honking their horns to congratulate the couple. 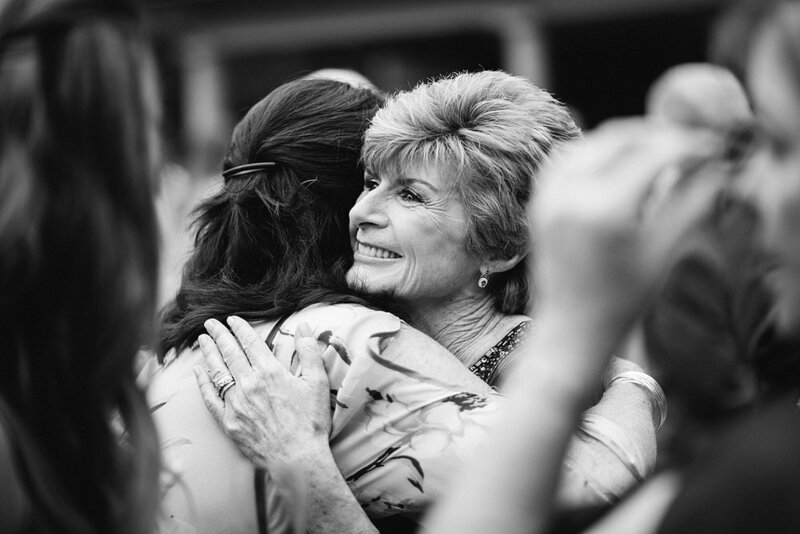 Your joy seems to be picked up by all those around you, it’s such a fun thing to experience! Our first stop was city hall, then the broad street median. We then traveled to Merchant’s Exchange building, definitely one of my favorite Old City portraits spots. My goodness we couldn’t have asked for better weather! Billowing clouds filled the sky, creating such a soft quality of light which made the colors stand out incredibly! So much laughter, a fur coat, cathedral veil, and anticipation of what was to come all captured before we made our way to Christ Church. 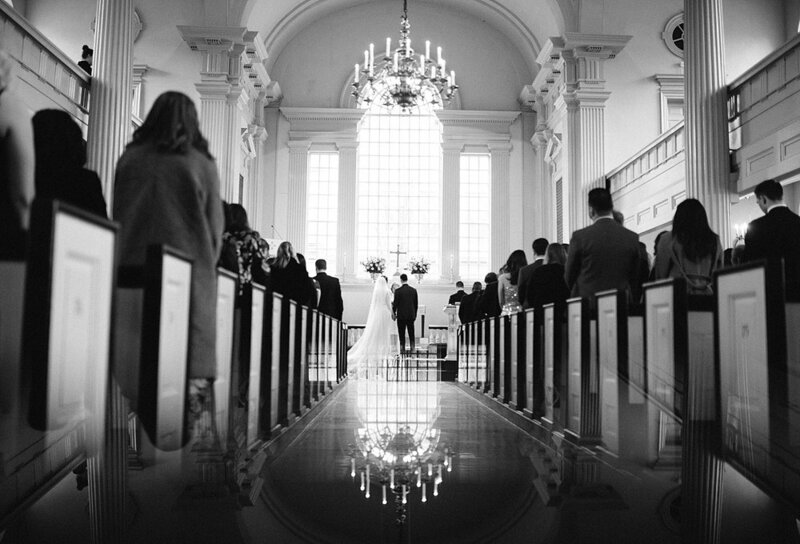 I could go on forever describing this day, but I’ll try to let the images tell the details of the story - the ceremony was held at the historic Christ Church and was just perfect. Kirsten mentioned the cobblestone street that we took advantage of for a couple more portraits before making our way to Union Trust. A fabulous cocktail hour later and our couple was making their way down the stairs to the dance floor after their spotlight grand entrance (check out Kirsten’s wink - just the best). 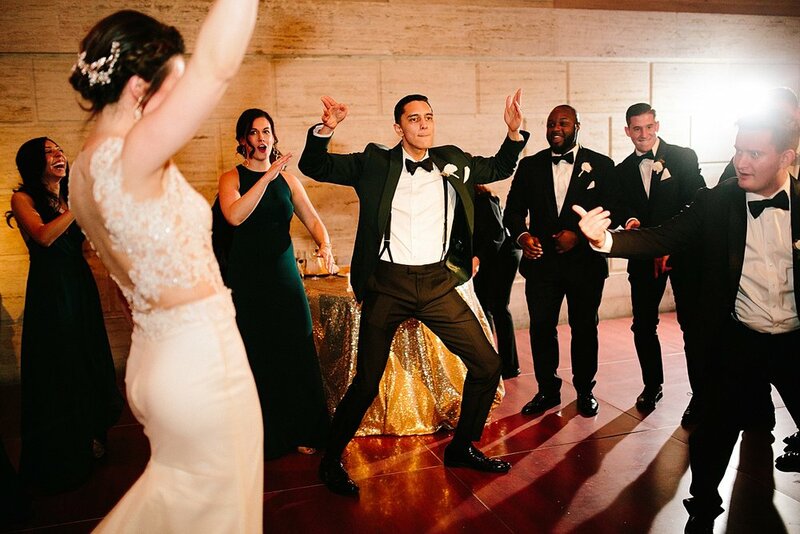 Kirsten and Tony’s first dance turned into a dance for the whole bridal party and kicked this party off the right way! 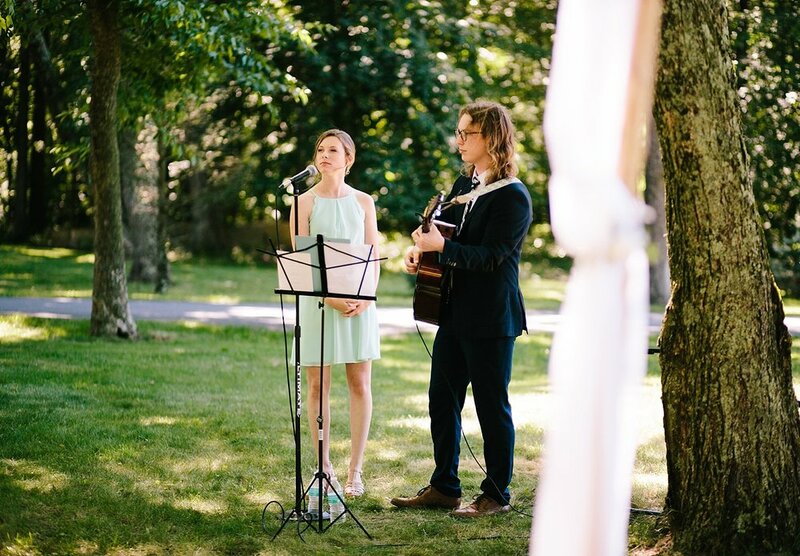 I had Level Up stuck in my head for a solid 3 days after their wedding. 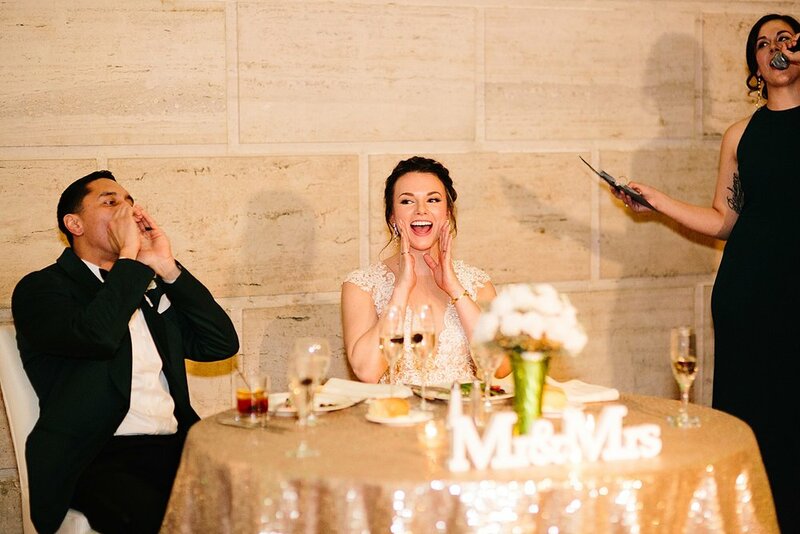 Sweet and silly toasts by the best man and bride’s sister and before long everyone was enjoying dinner, dancing, and just celebrating these two. I can’t say it anymore, it was a wonderful day! Congratulations again Kirsten and Tony! 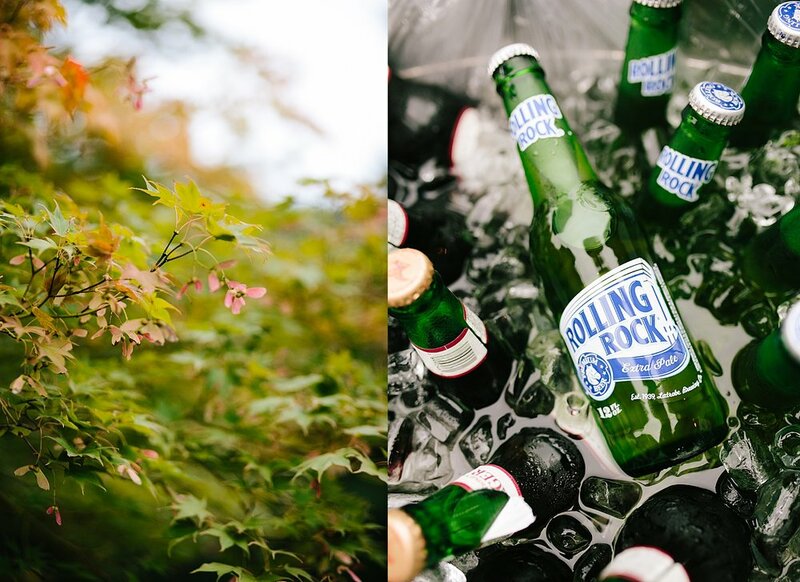 Ashley and Kyle had the most wonderful, relaxed, stylized backyard wedding! From pumpkins all around to the rabbit room (that I had been obsessing over since Ashley showed me photos of the home they would be getting married at), to the beautiful tree which had started turning just for the two of them to be married in front of - I could have photographed this day over and over again! Every where I turned there was something new to discover. 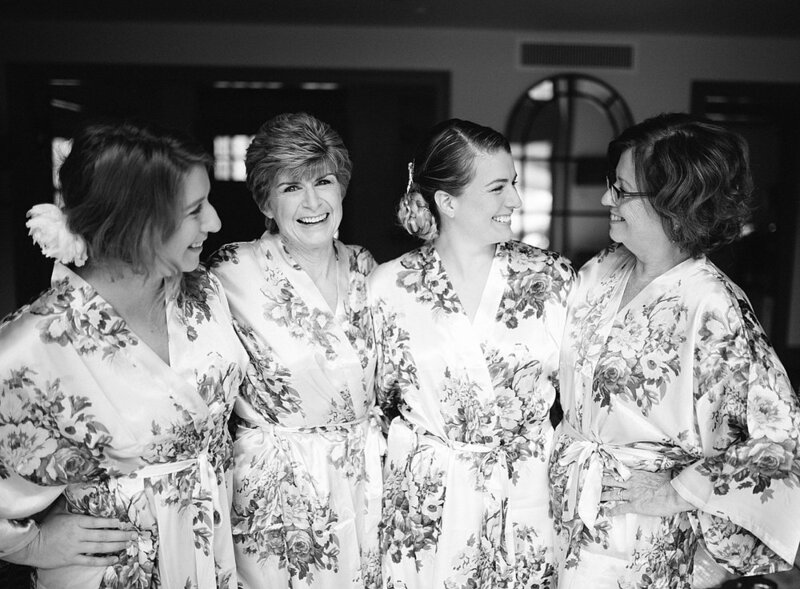 I arrived as Ashley’s hair was being completed; her mother, and soon to be sister and mother-in-law were peeking in so lovingly on the bride getting ready for her day. 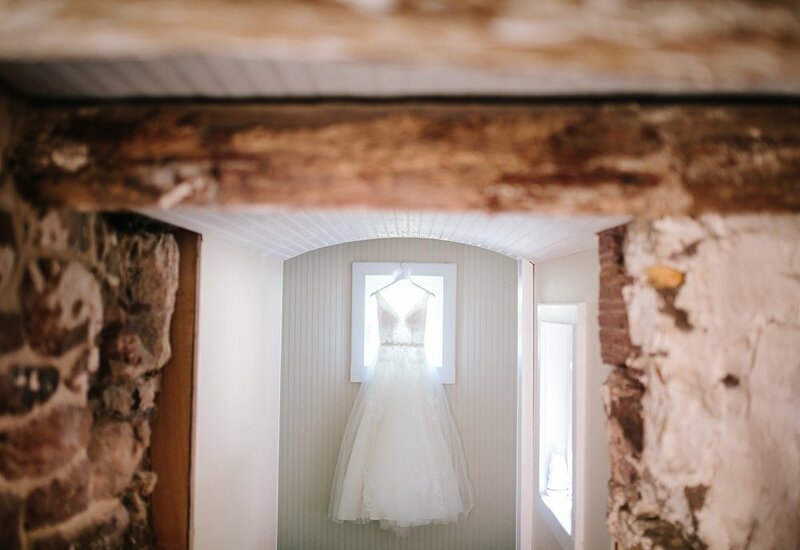 I whisked away her dress and details across the hall and took full advantage of the unique rooms in this home. 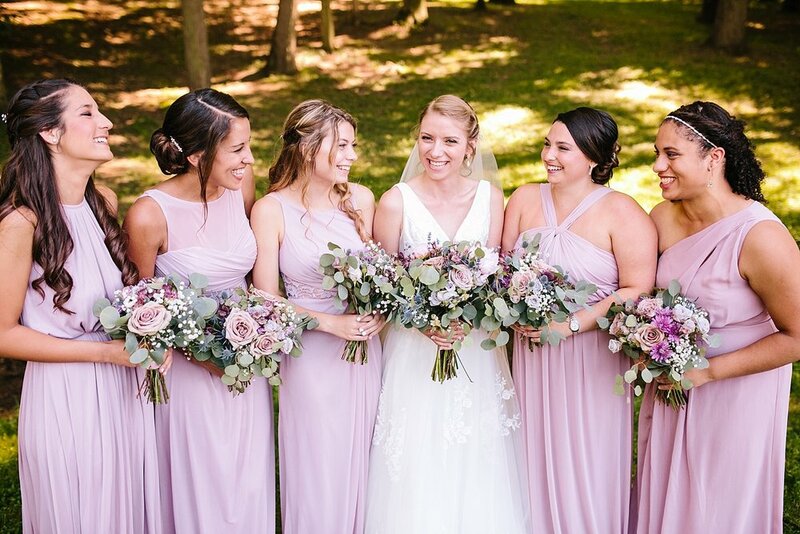 Each space provided a perfect backdrop to showcase Ashley’s dress, her lilac Rothy’s (that she customized with the sweetest flowers!) and her headpiece. It as just a joyous and calm morning with these girls getting ready. 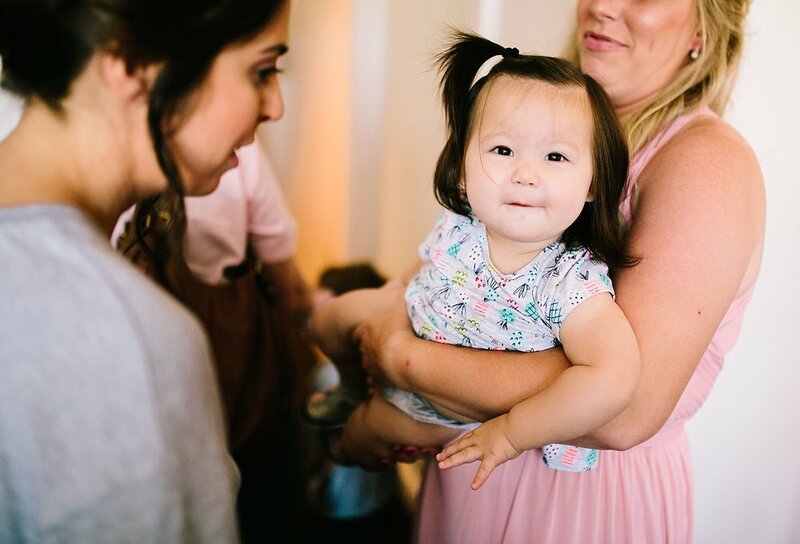 While Ashley’s father wasn’t there, it was the most wonderful thing that he was, indeed, there in the room, and with her throughout her day. Just downstairs Kyle arrived and finished getting ready to see his bride! 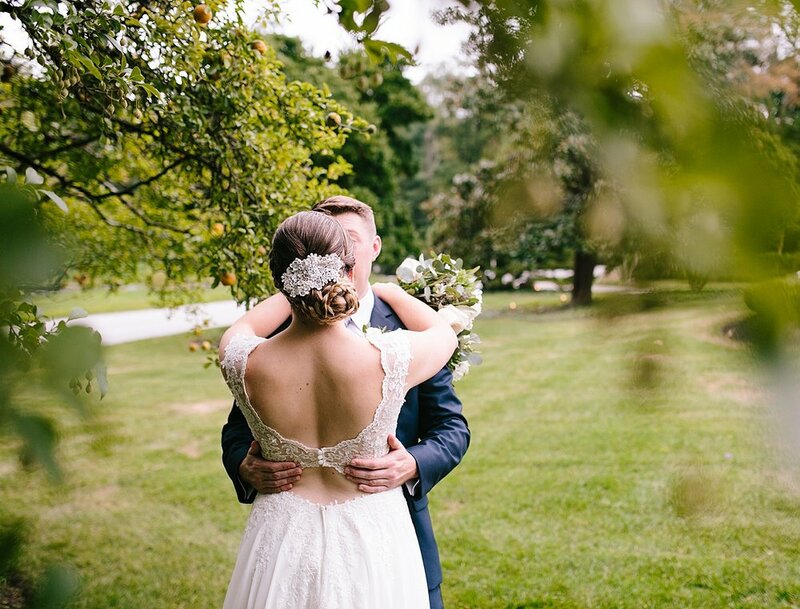 We stepped outside into the perfect fall air where Ashley met Kyle for their first look. 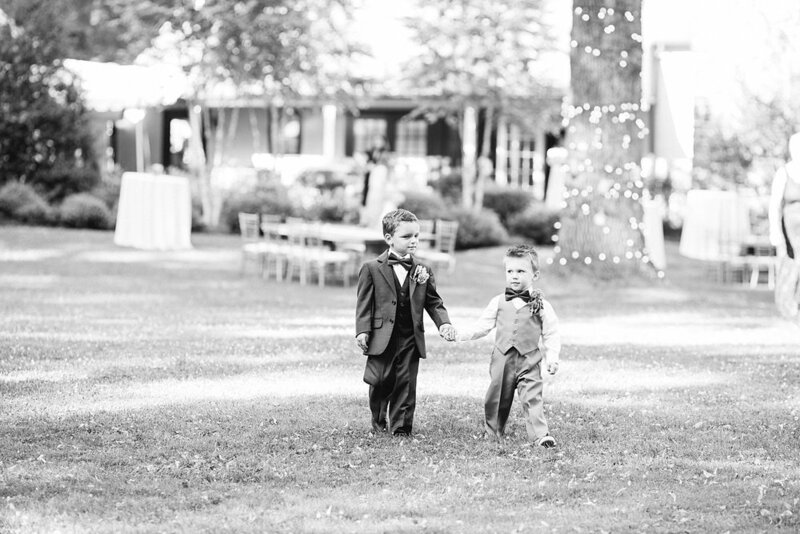 The two of them were captured as we walked across the lawn, to the lemon trees and back to the front porch where family eagerly awaited them! 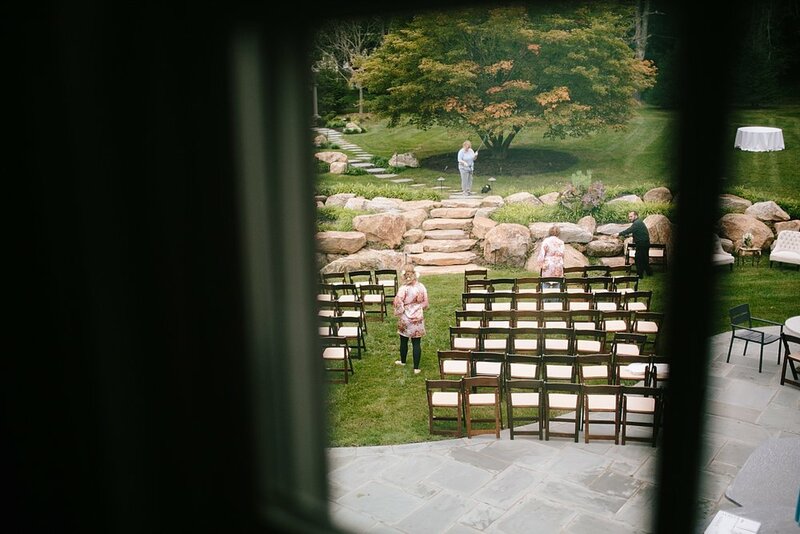 Not long after guests begin to arrive, finding their seats in this picturesque backyard. 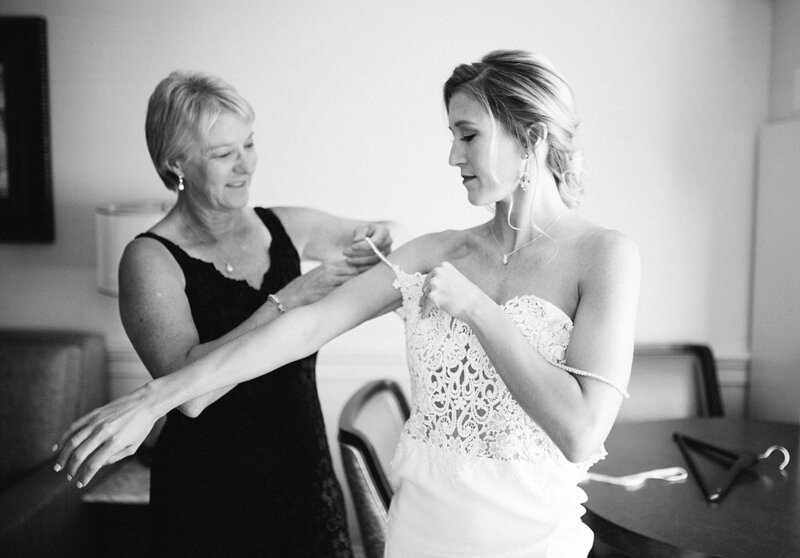 Ashley walked down the aisle, arm in arm with her mom to meet her groom. 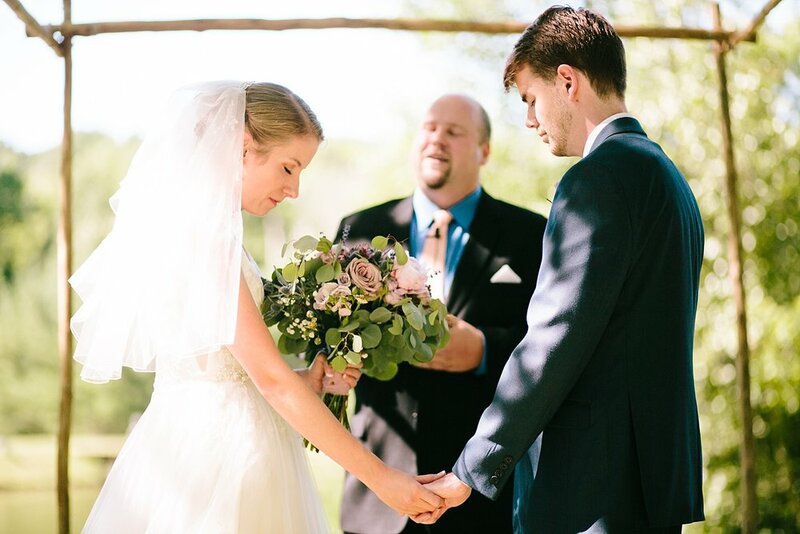 A sweet ceremony performed by their dear friend made these two one, bride and groom now husband and wife! Their cocktail hour and reception perfectly bled into one as a fantastic spread of hours devours were replenished throughout the evening, and dinner was passed, tapas style! 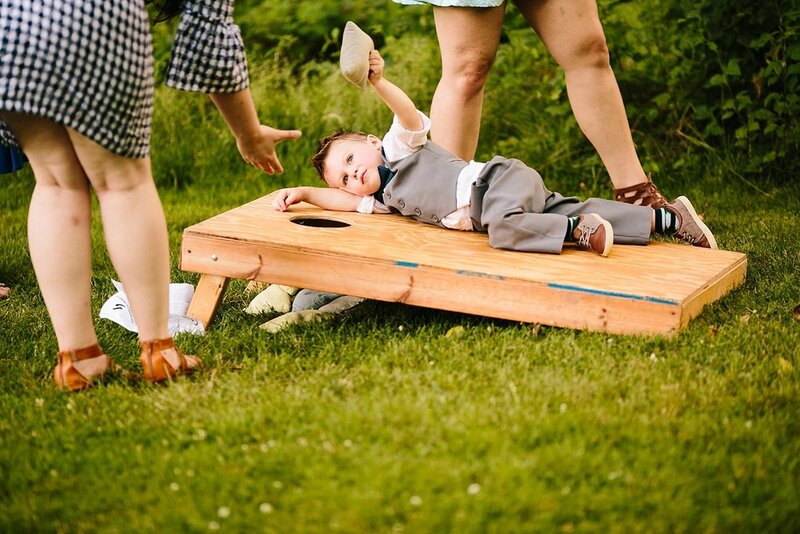 This should be a thing at more weddings - not only was it a fun change, but the food was just delicious. 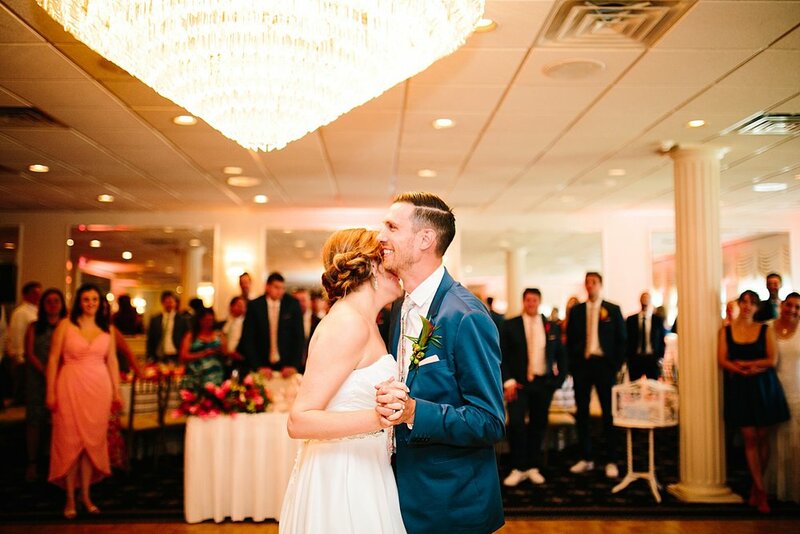 Ashley and Kyle surprised their guests with a choreographed first dance (the best!) and right after shared a simultaneous mother’s dance (the sweetest). 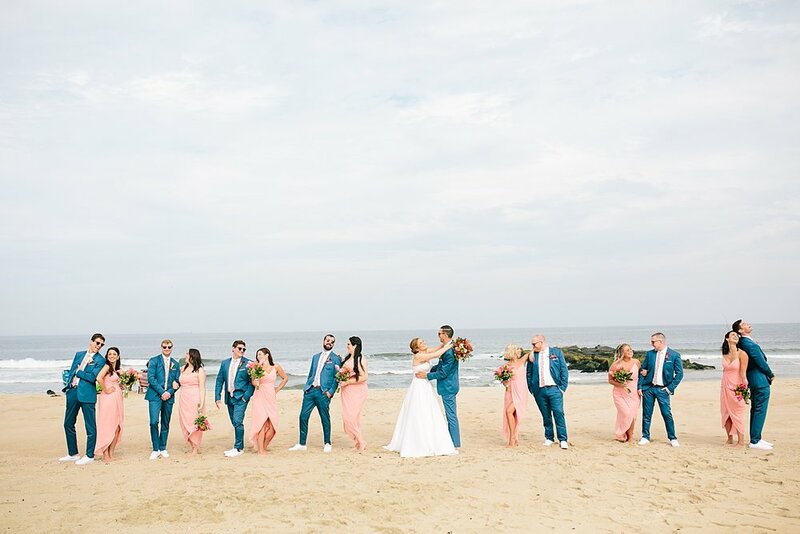 What better to bring some warmth into this winter than by reliving Melissa and Steven’s beautiful wedding day at The Breaker’s on The Ocean in Spring Lake, NJ! If I had to choose one word to describe their day it would be: joy. These two had a day as bright as their personalities. 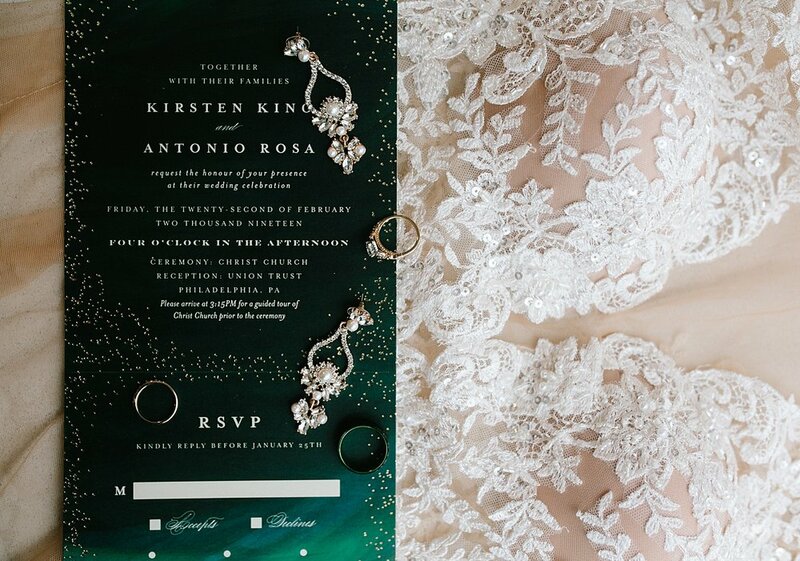 The details were palm springs inspired (hello pink flamingos and palm leaves) which I couldn’t possibly love more! 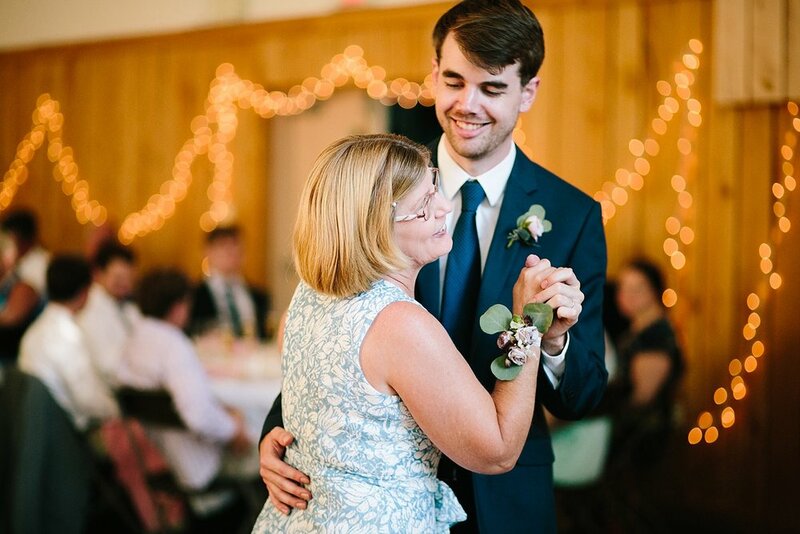 Even better than that, there were so many sentimental pieces to this couples day, from carrying her Great Grandma’s change purse with her down the aisle, to so many details created by Melissa’s mom, to the newlyweds first dance. What an honor to capture it all! 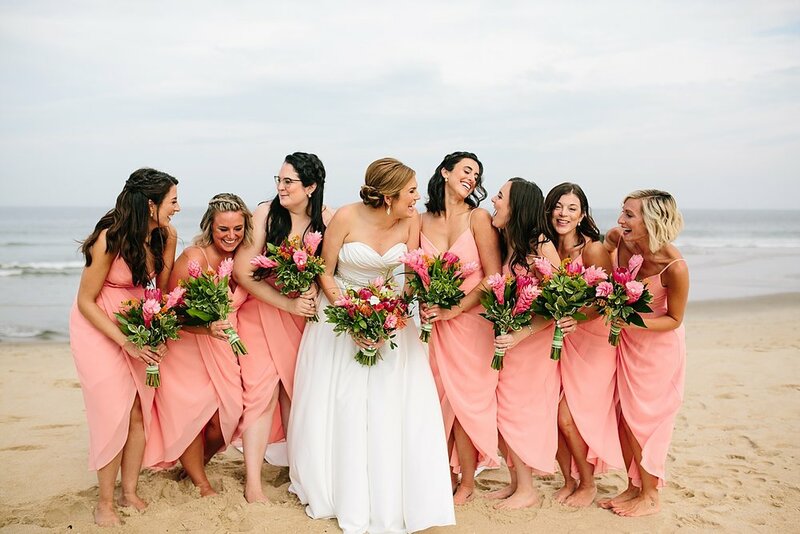 Everything felt beachy and bright walking in to a room full of giggles as Melissa and her girls were getting ready for the day. It was so sweet to capture Melissa with her sister and mom, especially, you can just tell how dear those relationships are. Before we knew it it was time. 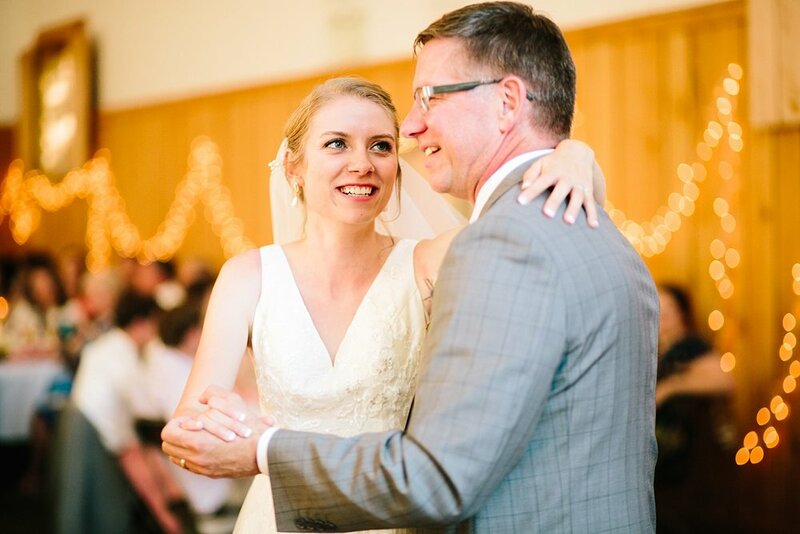 Melissa stepped in to her stunning gown and had the sweetest first look with her father. Soon enough the girls were gathering up their beautiful bouquets (which were created by Wildflowers) and we were all on a trolley heading to the chapel! 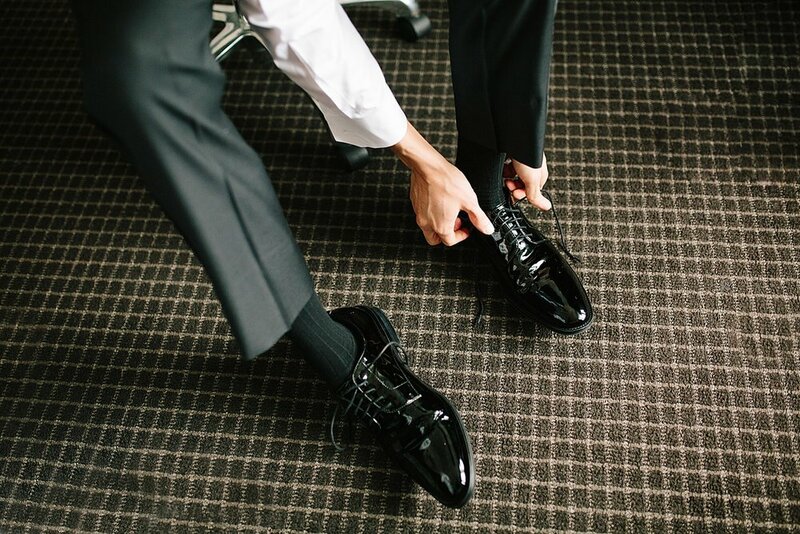 Not long before, Steve and his guys were nearby putting on their floral ties and white vans. 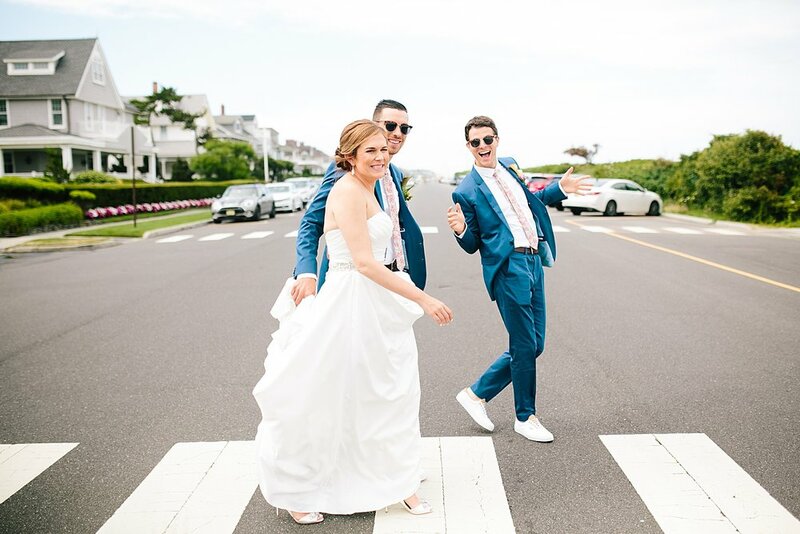 A wonderful ceremony with so many beautiful and silly moments (note this bride winking at her groom mid-ceremony) and these two walked out of Saint Elizabeth’s Church, as husband and wife, into a sky filled with bubbles! Another trolley ride, fantastic beach portraits, and cocktail hour on the deck of The Breaker’s moved these guests into the evening. 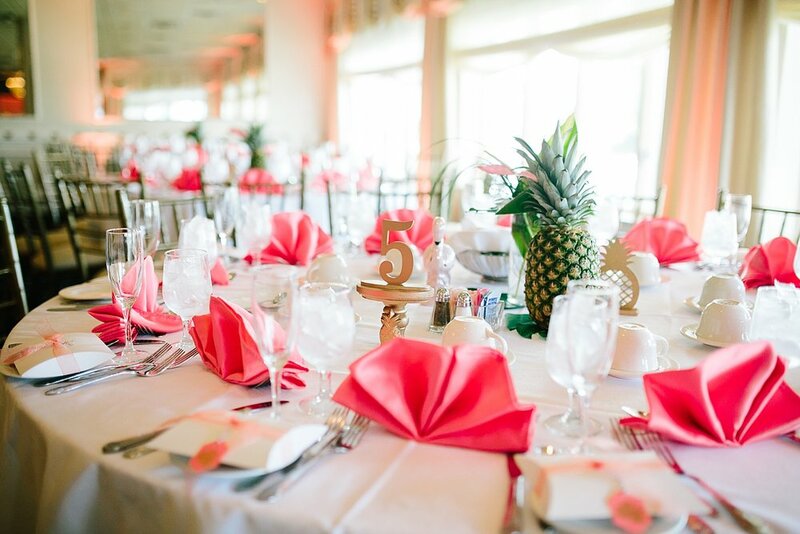 Inside, the reception room was decked out in pineapples, flamingos, and summer galore! 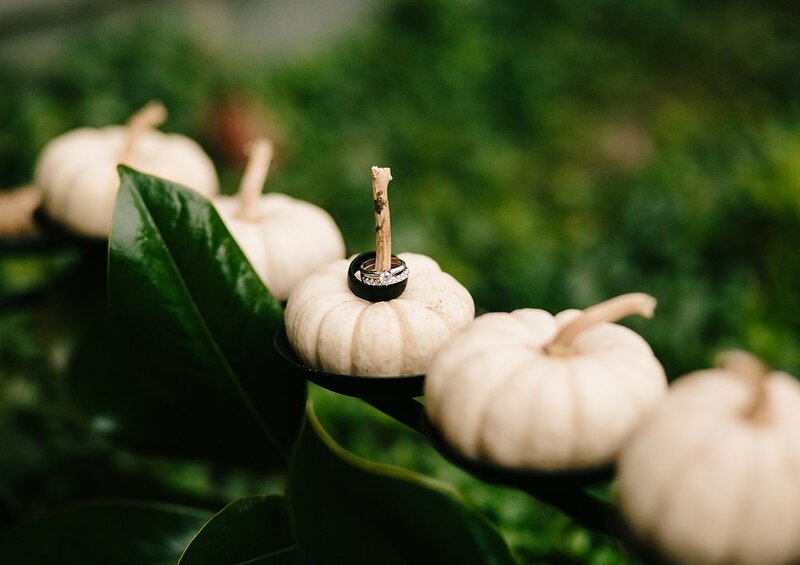 The cake toppers are my personal favorite; how incredible are those guys?? What a day this was! 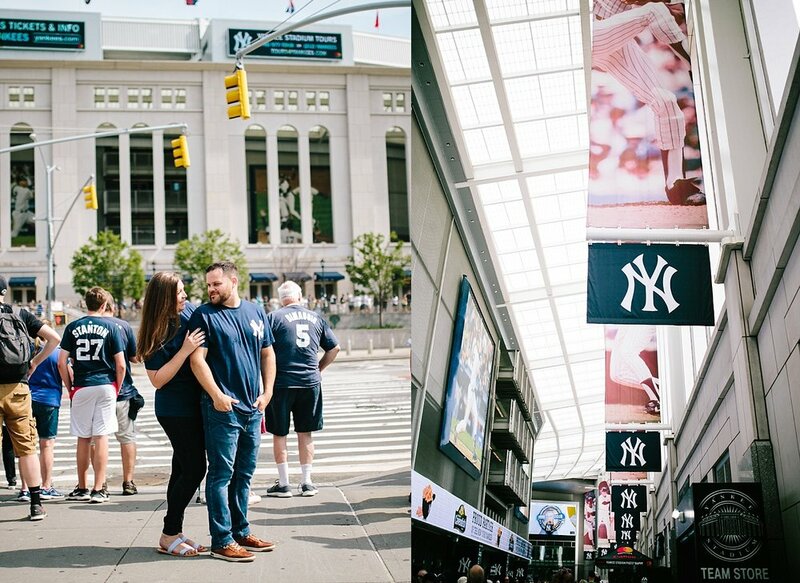 Yankee Stadium Engagement Session, guys. 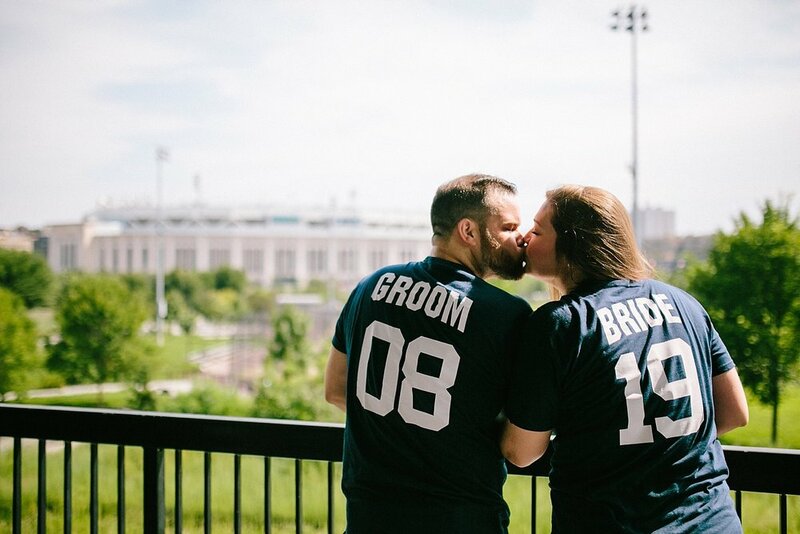 This was one of those bucket list shoots, so when these two mentioned their dream of a New York Yankees Stadium engagement session I flipped (in the best way possible!) It. was. fantastic. 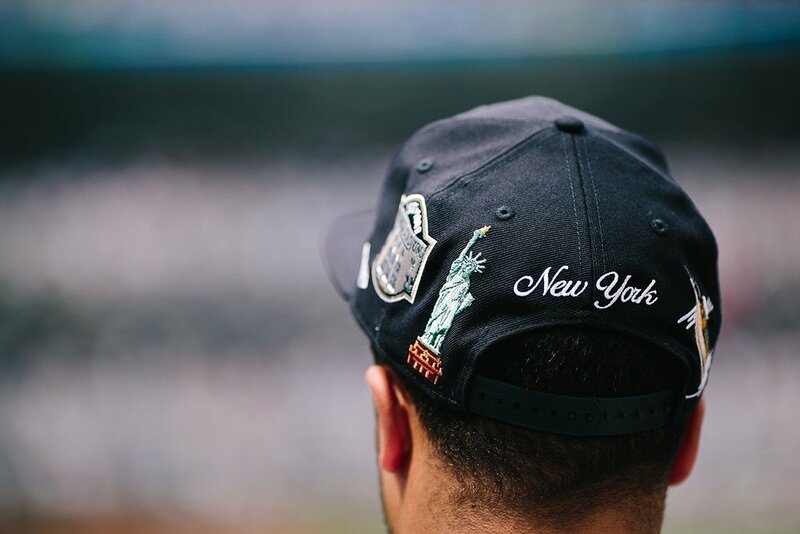 We met before the game, explored some areas outside of the stadium before heading in to find the sections with the best views. And ended by settling in to watch the game! 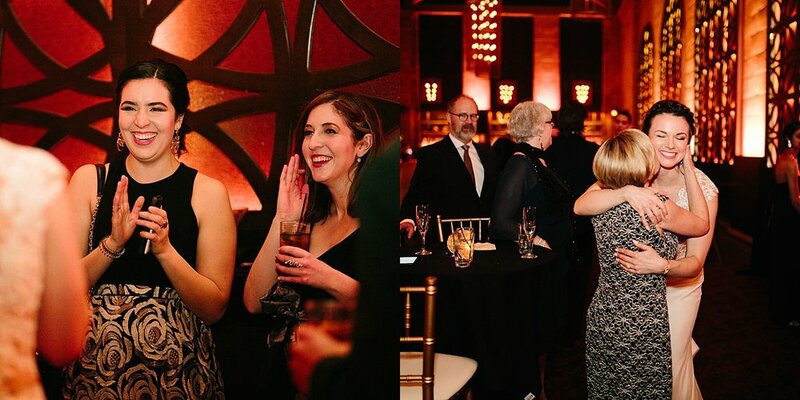 Take a look at these photos! I love that they choose a location that meant so much to them, I always suggest couples do this when choosing their engagement session location. When you choose somewhere that already holds such sweet memories for a photo session, looking back on these photos turns from seeing your engagement pictures, to a reflection of your journey to get here. I love that. 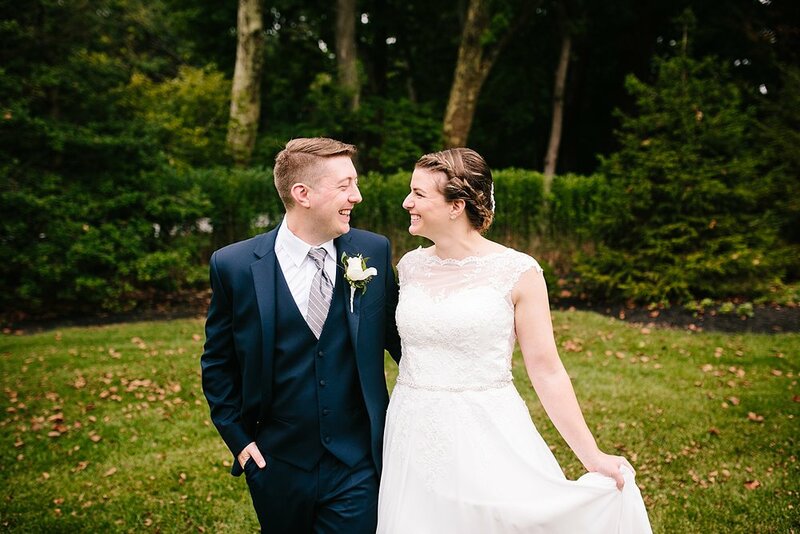 We also captured their engagement photos on their anniversary!! A date they both thought from pretty early on in their relationship would be their wedding day, I’m so glad we got to capture this meaningful chapter on such a special day! When Kristin, Ron and I first chatted I knew within moments that they were a couple I wanted to not only capture, but just know as human beings. These two are nothing short of incredible! You know how some people are just so genuinely kind and you can feel it from the minute you meet them? That’s these two. They have some of the kindest, sweetest souls. 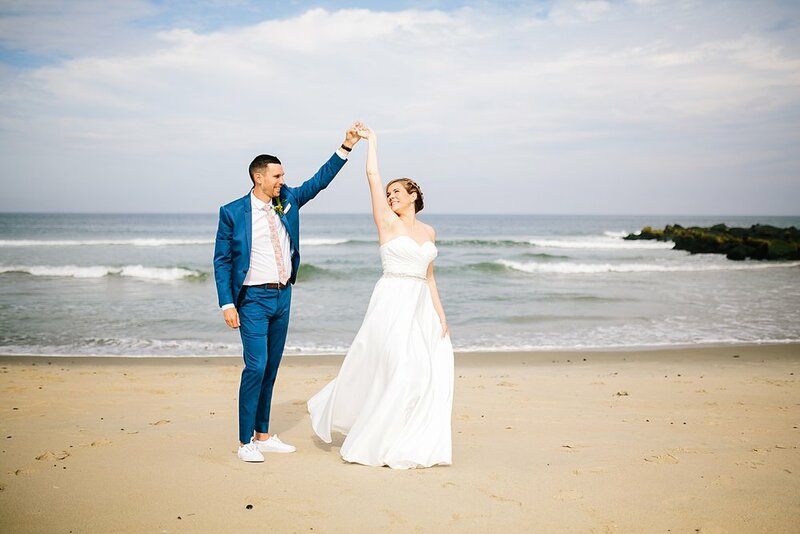 There’s a story from this day about how I almost passed out, thankfully at the very end of our session, and I was so beside myself at the way they responded and how far above and beyond these two went to make sure everything was okay. 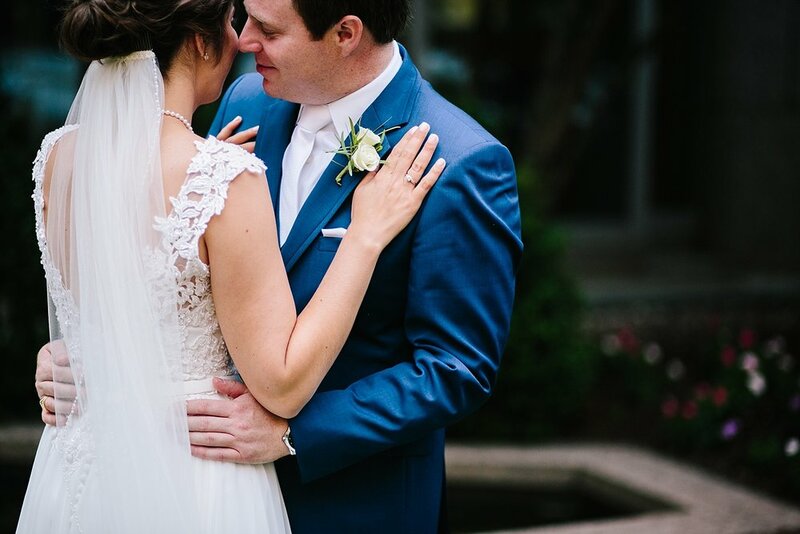 For the sake of keeping this at a reasonable length I will not go on (but just fair warning - come their wedding day blog post I make no promises of holding back). It was an honor to capture them here and I can not wait to photograph their day in August! Necessary side note: It’s only fair to state that before I met my now-husband Dale, I knew nothing about sports. Pretty much at all. Over the past few years I’ve come to not just enjoy baseball, but love it! 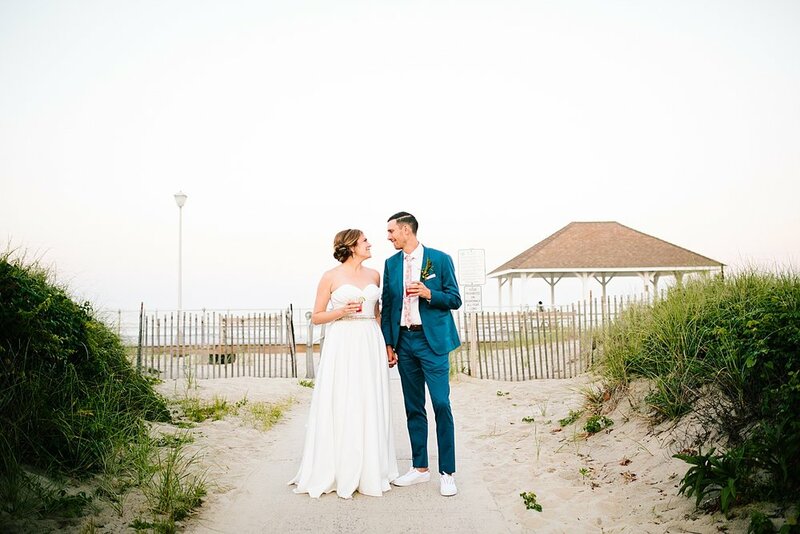 When Kristin shared the date she wanted to do their engagement session and we realized it fell in Dale’s vacation it only seemed right to then use his vacation time to do a little east coast baseball tour. Not only was this session the inspiration for our kind of vacation, but my husband was able to assist me on this shoot! Such a special thing and a huge shout out to him for all of his help! 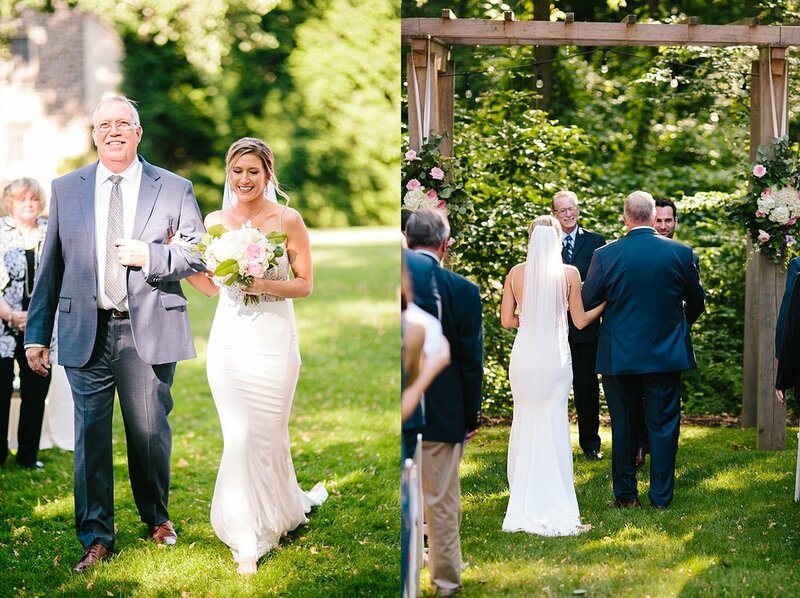 On a beautiful, warm, July day Lisa and Joe were ready to be married! Just a few floors separated them at The Logan in Philadelphia as they simultaneously got ready to see each other. 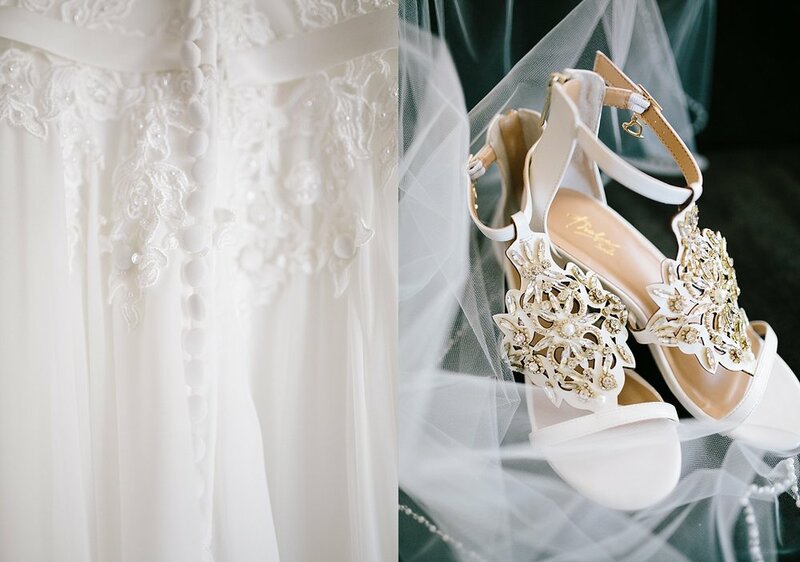 Lisa’s details were all ready when I arrived, from her gorgeous gown to her sparkly Kate Spade dancing shoes. Bouncing back and forth between capturing this and the girls having hair and make up done was so much fun! 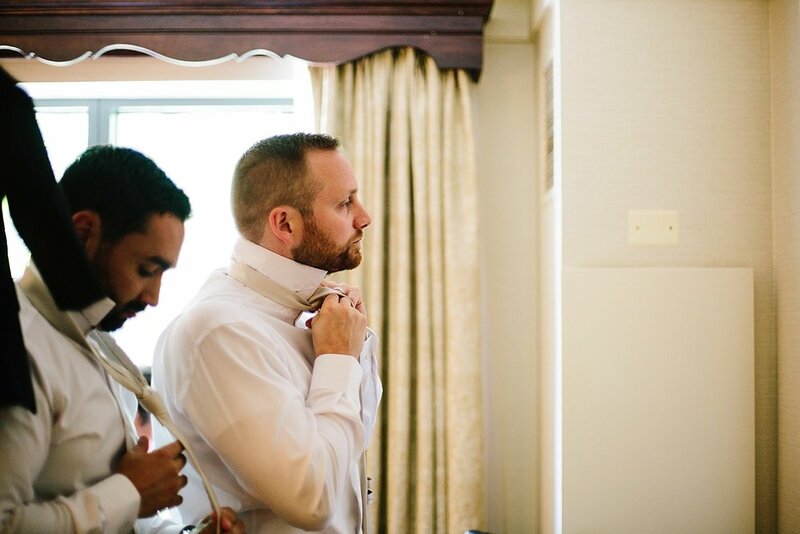 It wasn’t long before Joe was reading a letter from his sweet to-be bride and Lisa was upstairs, admired by the family and friends surrounding her as she stepped into her gown and began adding the finishing touches to her bridal look. My favorite detail, by far, was her “something blue” - a piece of the blanket she had since she was a small child - pinned inside her dress! 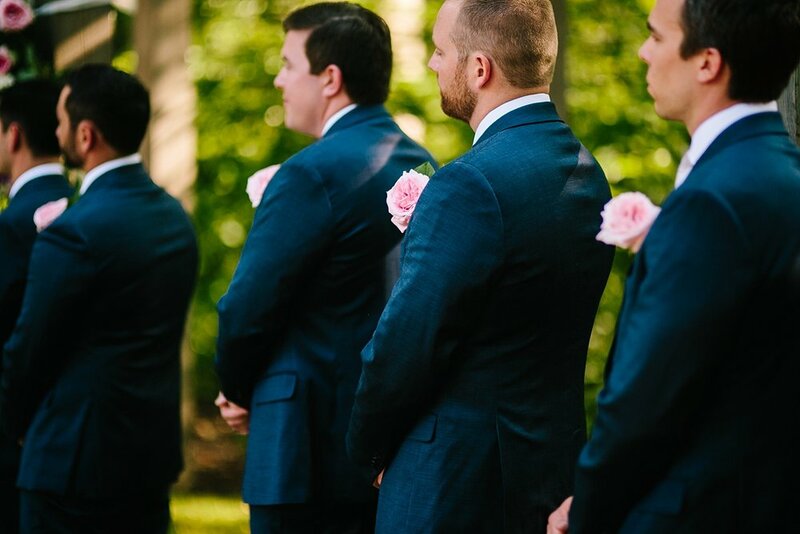 The joke was that she would walk down the aisle with that blanket someday; Lisa told me they had to really search to find a piece with some blue on it, and every single person that she shared this detail with just adored it! 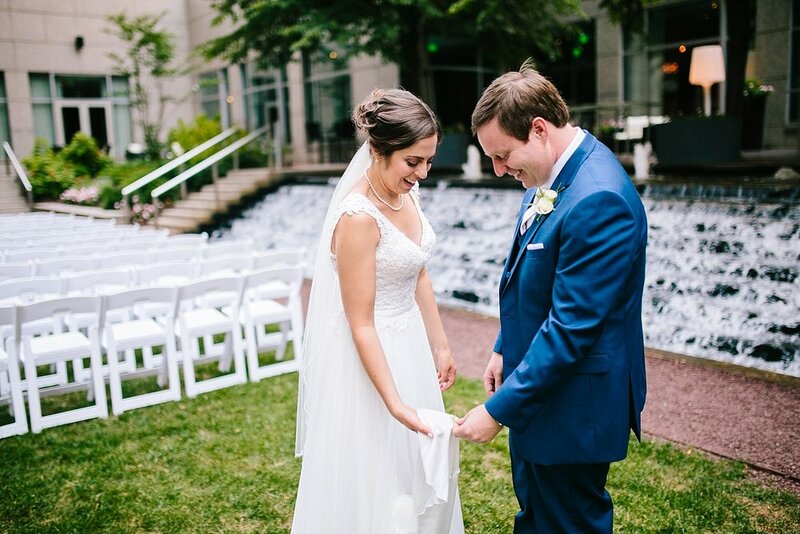 We headed down to the courtyard together where Lisa and Joe saw one another for the first time this day, and the last time as fiance’s! 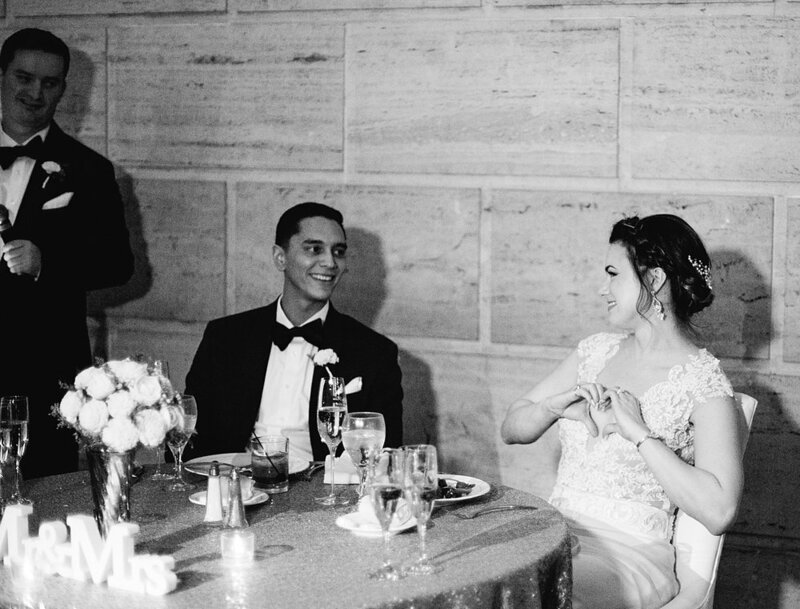 I will never tire of the way a groom looks at his bride, especially when it’s just the two of them. 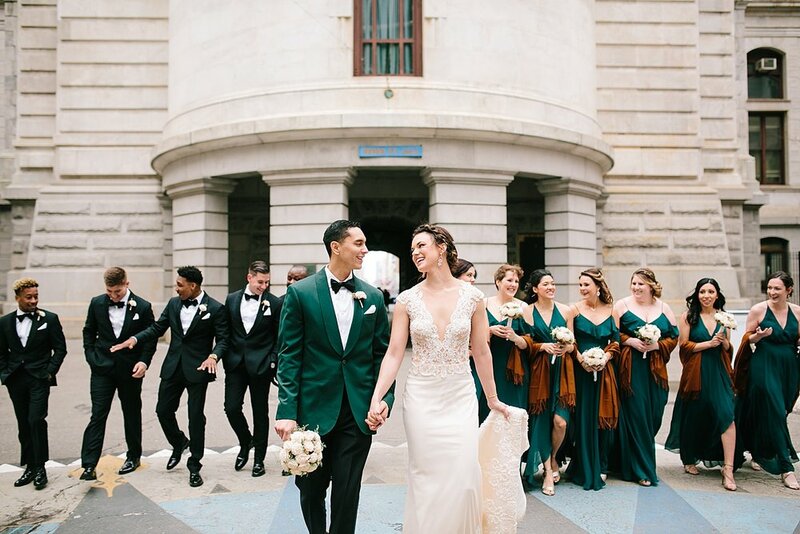 It wasn’t long before we gathered up the bridal party, took some photos, and went on our way to The Philadelphia Museum of Art. 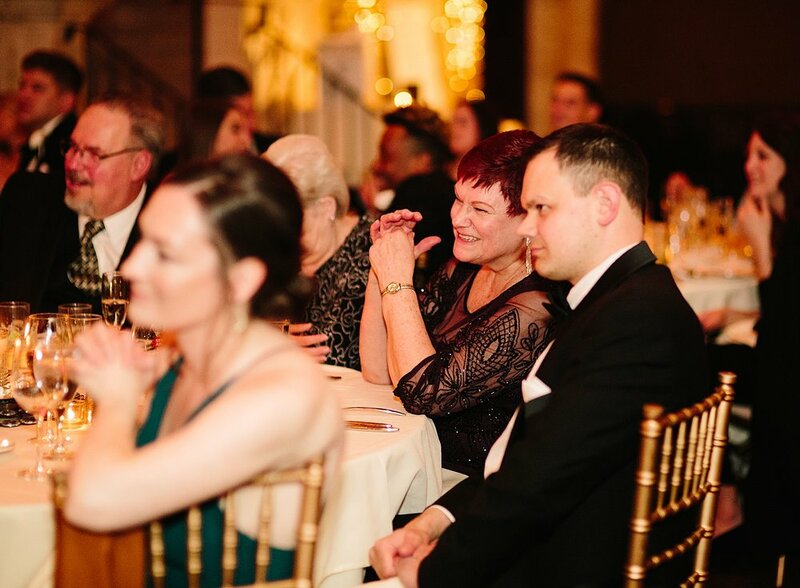 From our first consultation (and really, probably one of the first things that Joe mentioned) I was told that getting photos on the Rocky Steps was a huge priority! When you’re just a few blocks away why would you not?? Everyone was such a trooper in that afternoon July heat, and we had lots of fun capturing everyone right there by the Art Museum (and of course with The Rocky Statue! That line definitely moves a lot quicker than I thought it did). 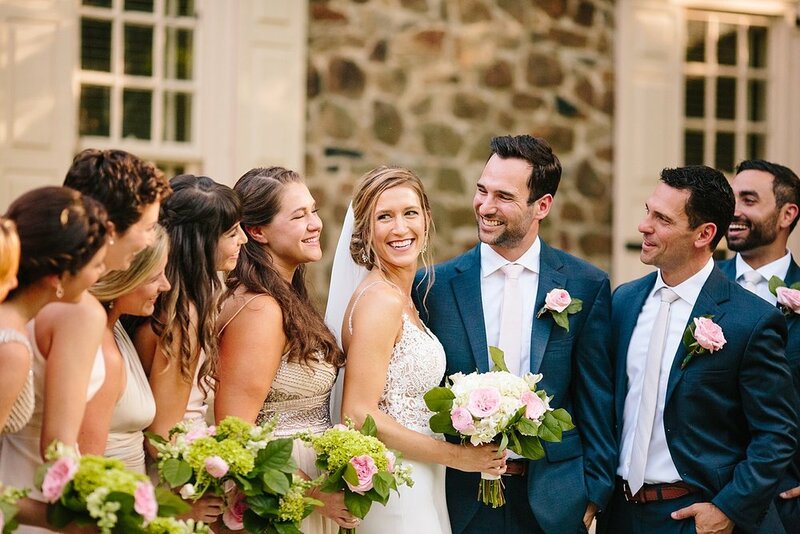 Not long after, Lisa and Joe had the sweetest ceremony. 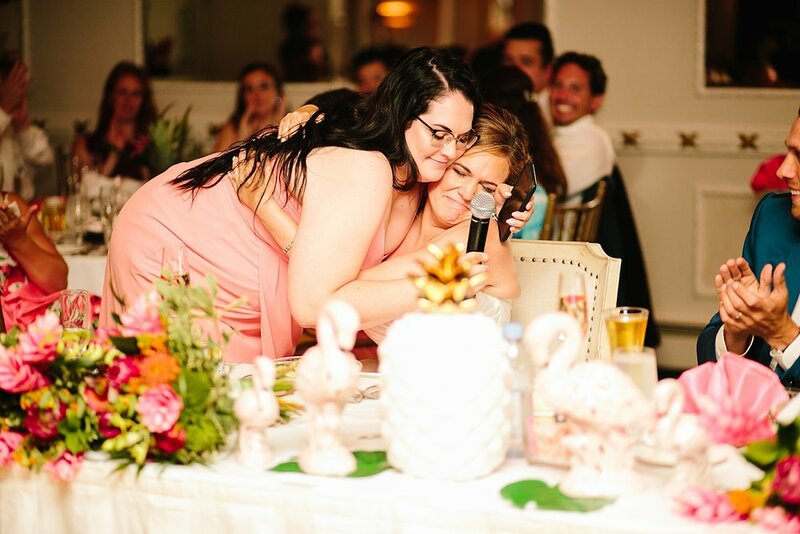 Tears unexpectedly came from the groom and just had everyone else tearing up, as well. Vows, rings - finally husband and wife! Cocktail hour was enjoyed with delicious hors devours and their string quartet serenading everyone in the patio area. 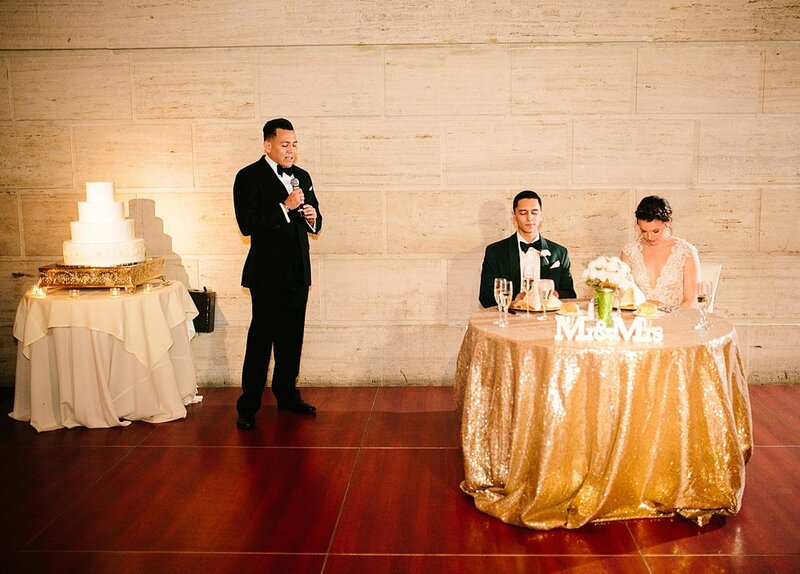 The newlyweds snuck into their reception room a little early where Joe was surprised with a personalized groom’s cake, made by the Aunt of the bride! You have to take a look at this cake. 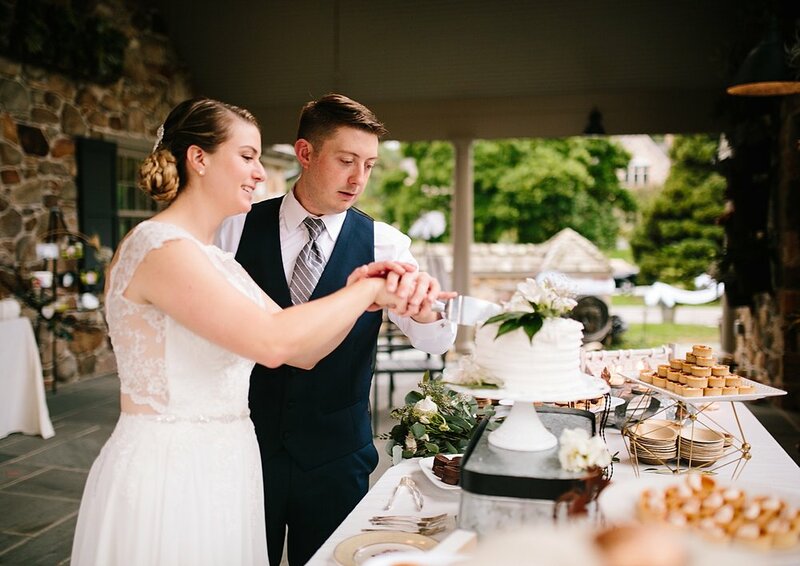 The details were incredible, including some of this Wisconsin groom’s favorite things: fishing, the Green Bay Packers, a whole side dedicated to the day these two met (at a halloween party, so naturally the bride and groom in their costumes are the highlight there - guys, it’s the coolest groom’s cake). 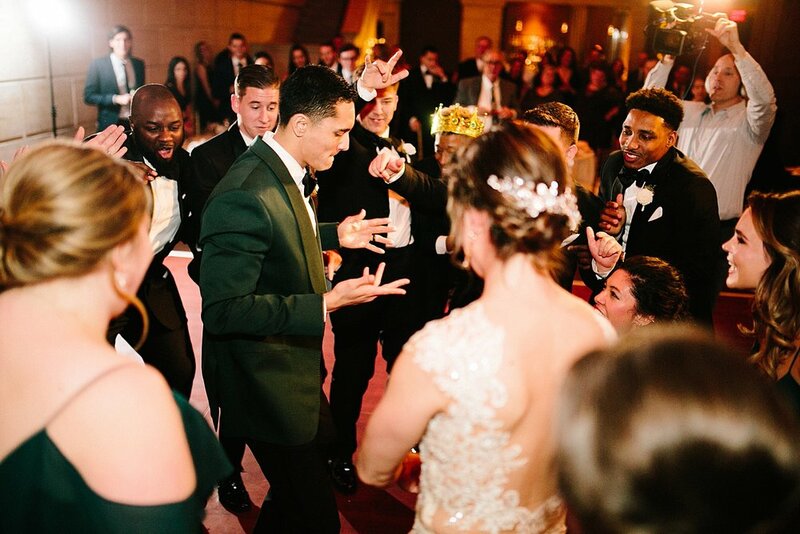 Their reception was filled with joy and lots of dancing! I was able to sneak these two out and up to the rooftop lounge of The Logan for some sunset portraits overlooking the city. 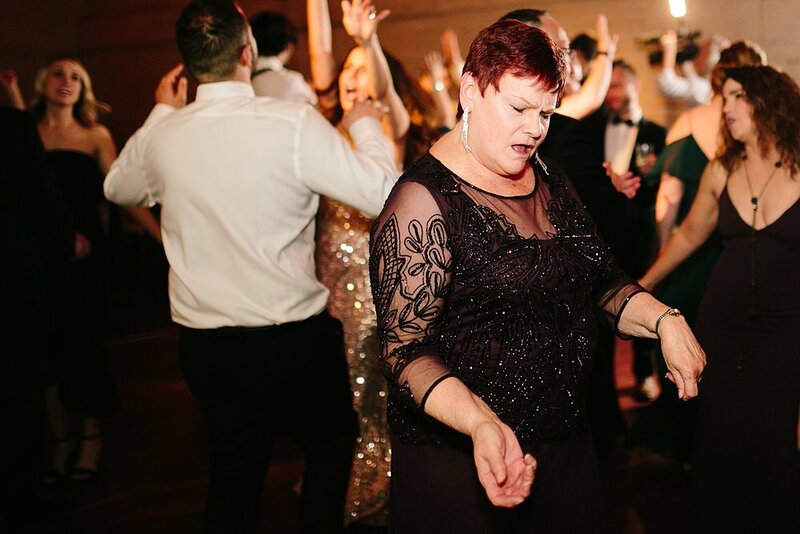 It was party number two up there! With snuggles and celebratory champagne it was a beautiful ending to a wonderful day. What an honor this day was to capture. 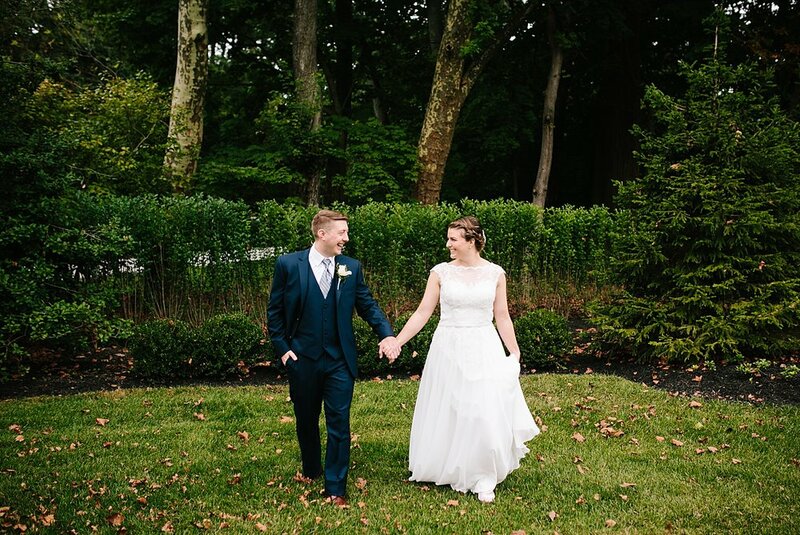 Congratulations again, Lisa and Joe!! 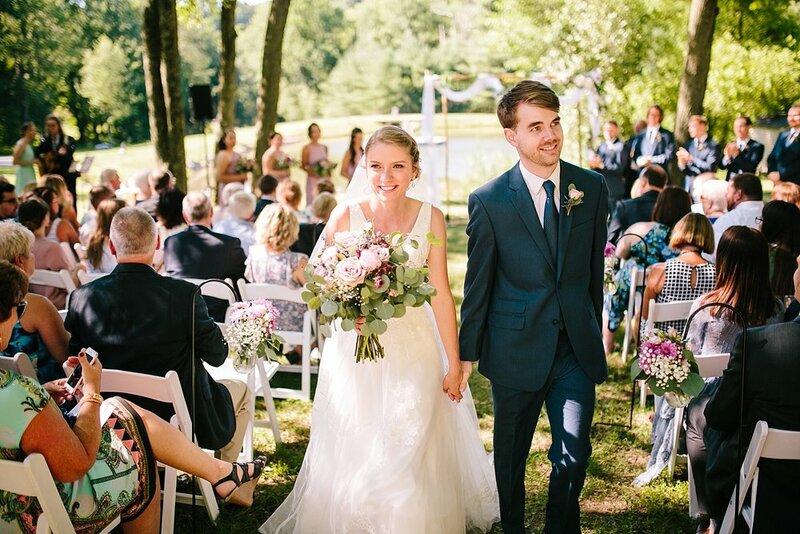 What a joyful day it was for Carley and Auston! I arrived to the sweetest Airbnb (barn turned loft!!) where Carley was busy getting ready with her girls. 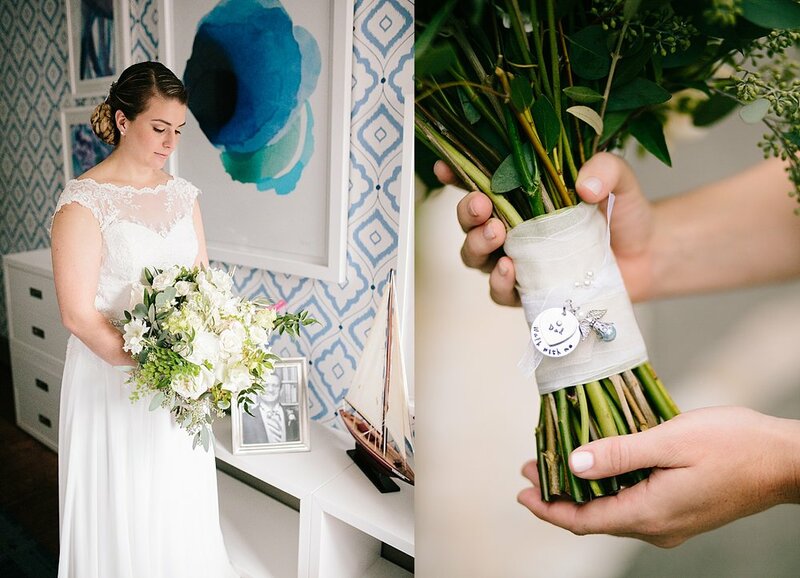 Her dress was simply stunning and beautifully complimented by the most incredible antique looking flowers by Jena Paige, which just matched this bride and the space beautifully. 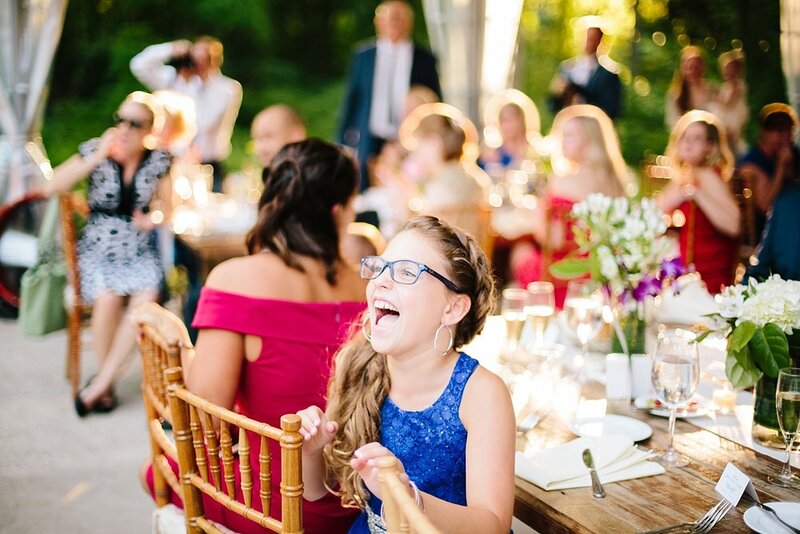 Excitement filled the air, something I feel with almost every wedding, but it's always a little different. A little unique. 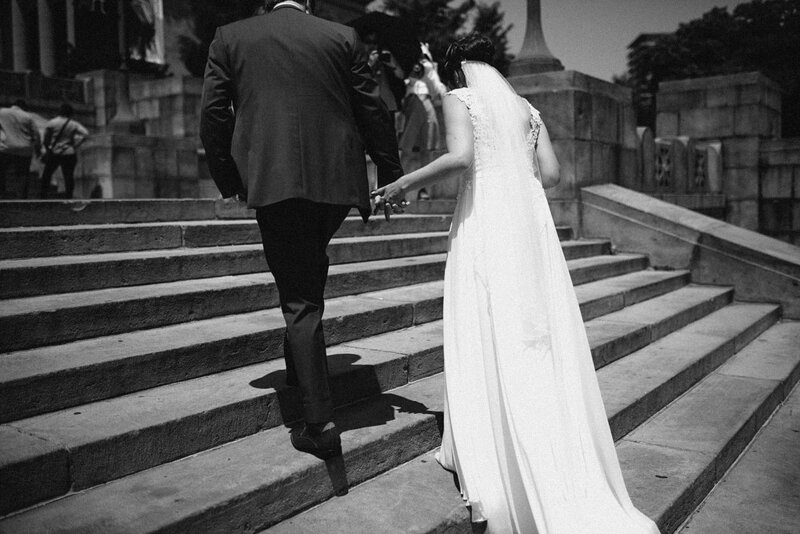 As Carley slipped on her shoes and her mother fluffed her veil, there was just this quiet joy. And it continued and grew as she sat to read a letter from her soon-to-be-husband, trying to hold in tears that inevitably escaped. Their wedding day had really begun! 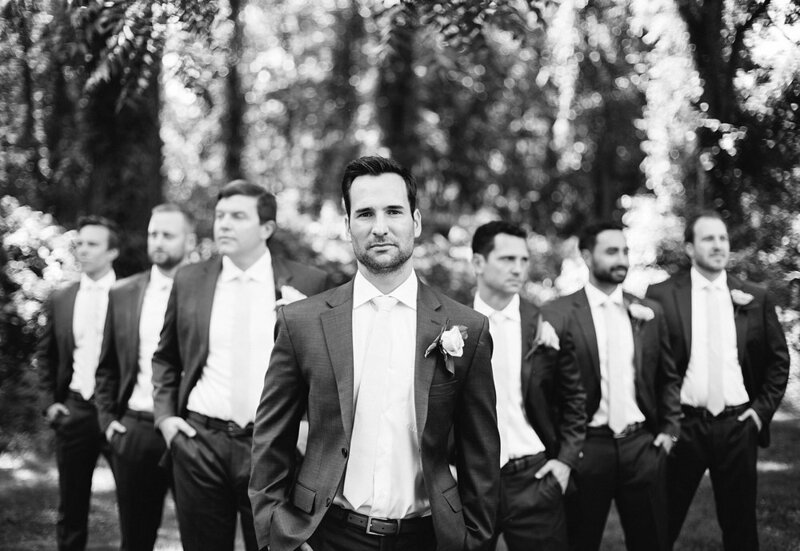 Just a few minutes down the road Auston waited patiently for his bride. 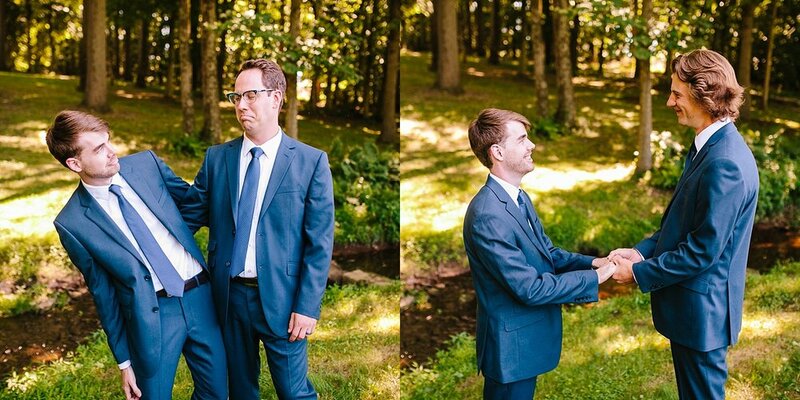 Literally over the river and into the woods she came to him for their adorable first look! You can see for yourself how sweet that one was =) There were so many opportunities throughout the day for portraits with these two and I was thrilled! 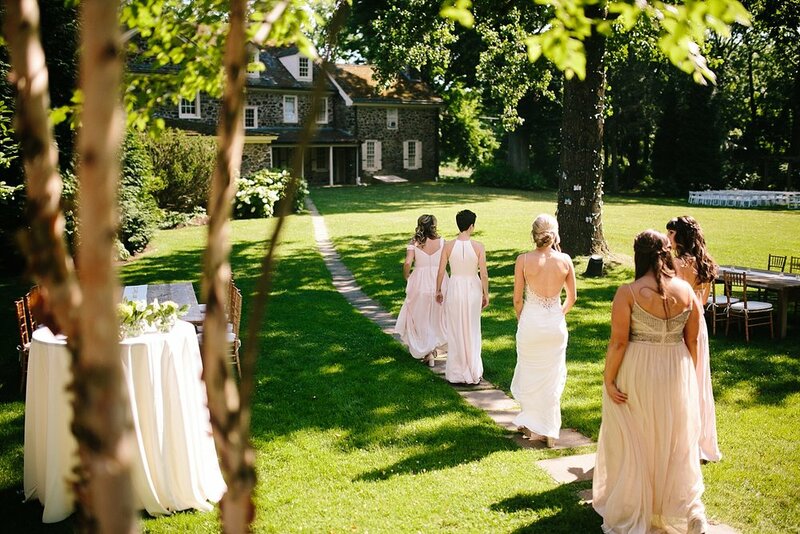 It wasn't long before their bridal party joined them and soon enough we were on our way to Action Impact for their ceremony. 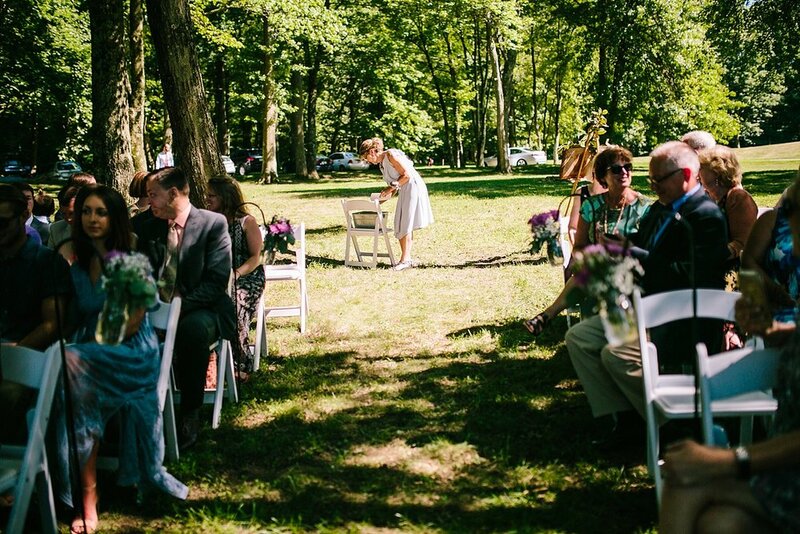 Beside the lake, under the trees, guests began to gather. 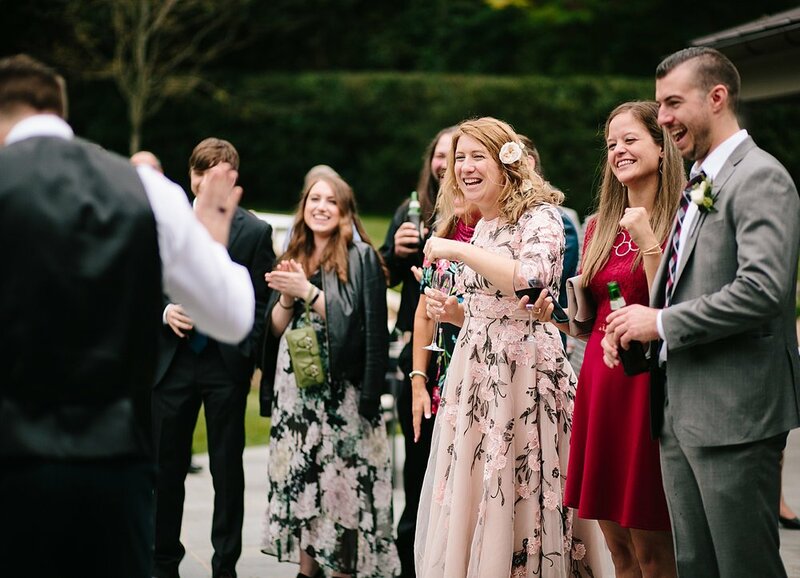 There are few things better than the sound of voices singing out into nature, this was such a beautiful beginning to the ceremony. 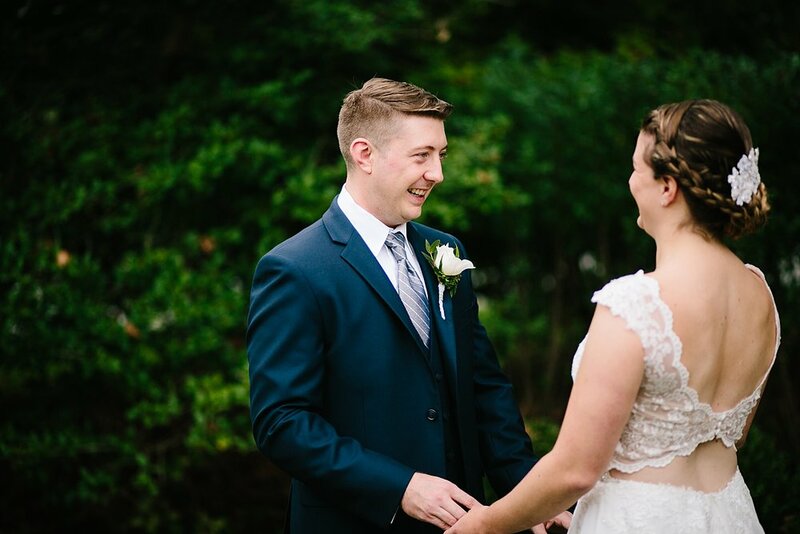 Carley and Auston shared vows, exchanged rings, and worshipped God together during these moments of becoming husband and wife. 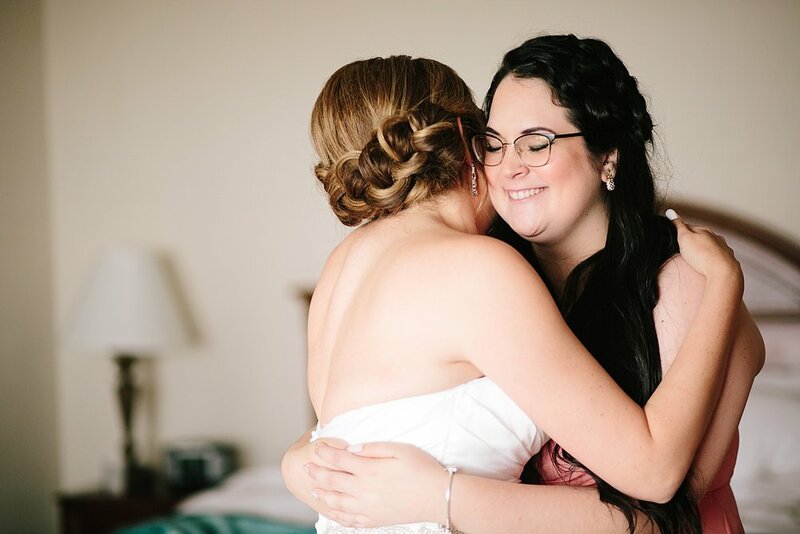 Wedding day's are such wonderful things, but there's a raw joy that just spills from the ceremony and it was so wonderful to capture that being embraced! 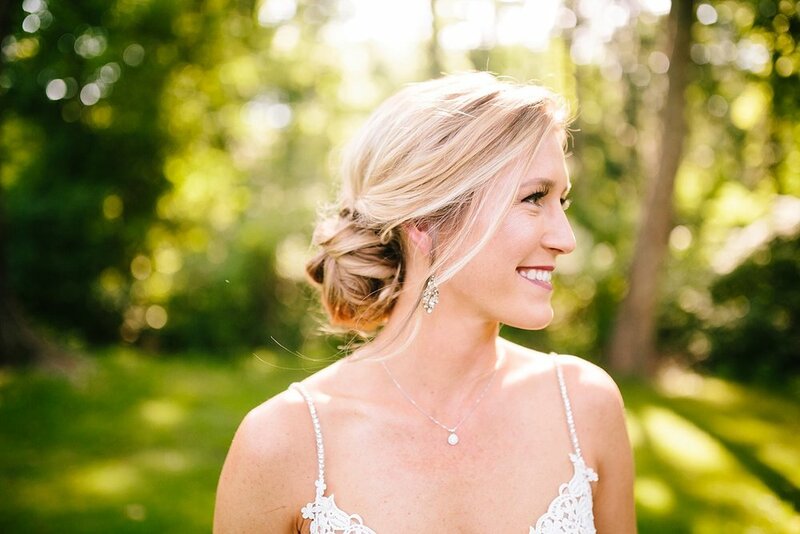 Portraits amongst ferns with golden light leaking through was definitely one of the highlights of the day - closely followed by the Dough & Co. truck that showed up towards the end of their reception, just after we finished sunset portraits! (For you who don't know - that would be scoops of ice cream and scoops of cookie dough - for real, so delicious). Enjoy discovering and reliving the rest of their day for yourself below! 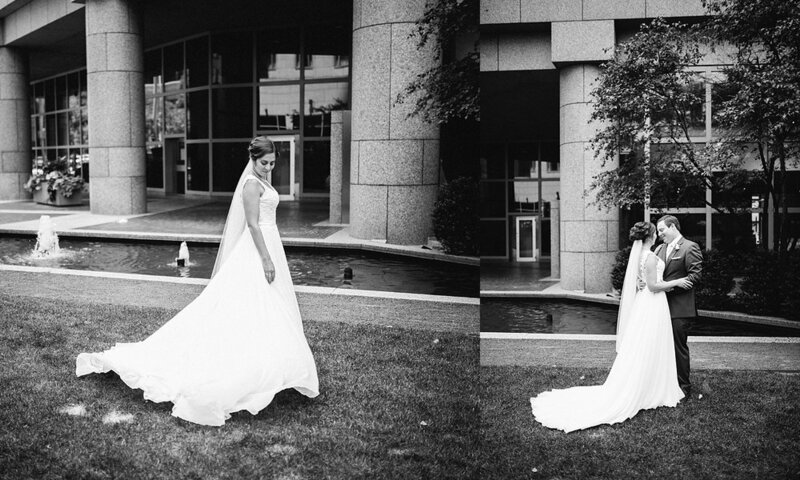 Carley and Auston, it was such a joy to be there to capture your day. Wishing you so much joy in your marriage! Congratulations again!! 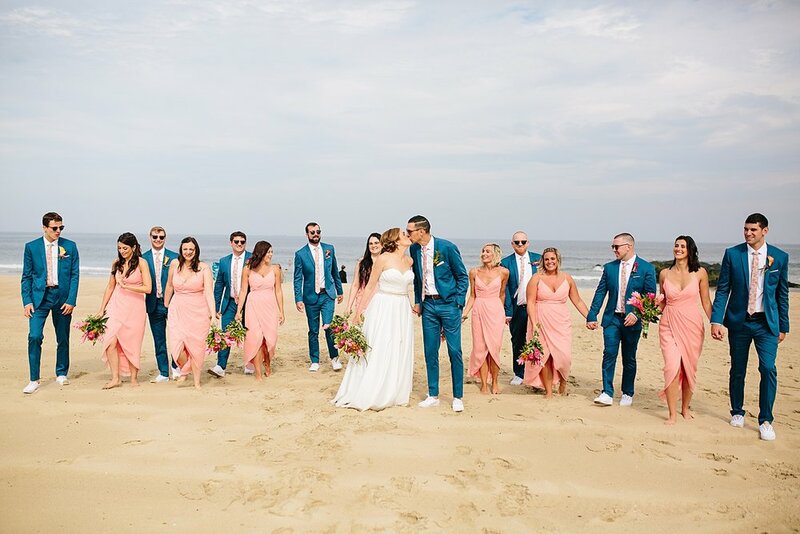 What a beautiful wedding day it was for Amy and Jamie last month! 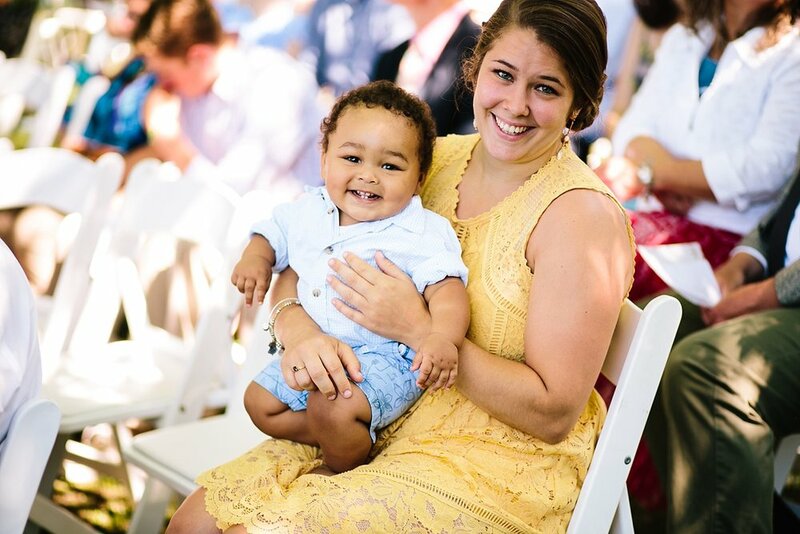 On one of the hottest days of the year these two stood outside at The Anthony Wayne House and exchanged words of love and promises to one another. 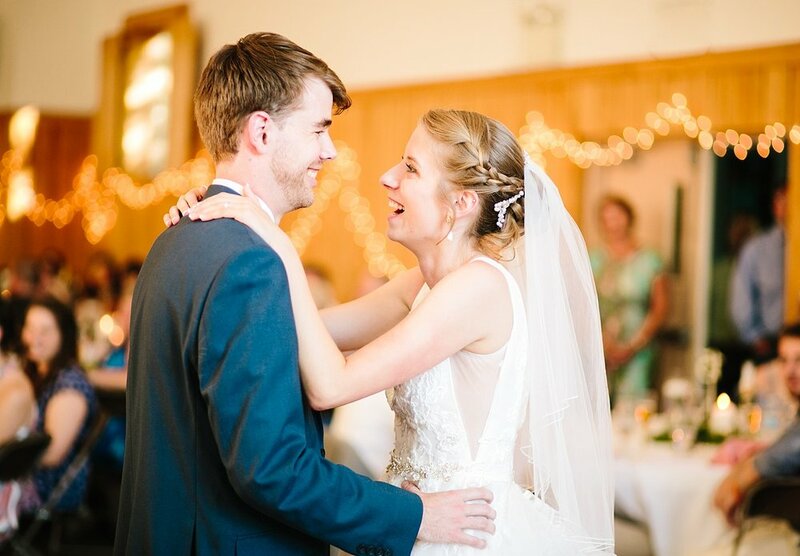 Giggles and sweet teary moments surrounded their day! 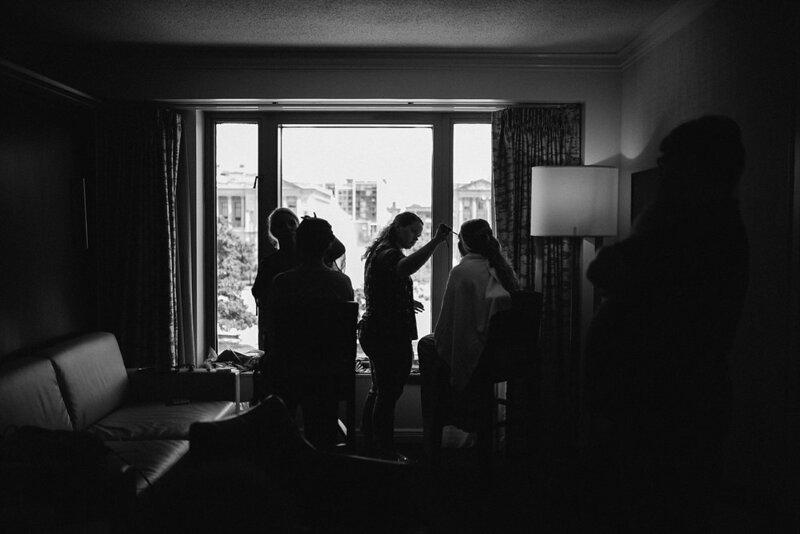 Earlier that afternoon The Desmond hotel was buzzing with wedding excitement! 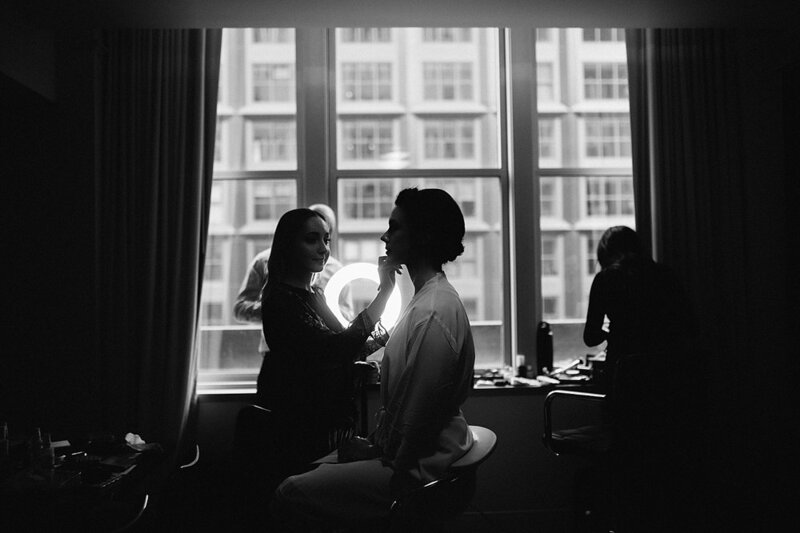 My second photographer Allie and I found a little nook to capture all of Amy's beautiful details before the day really got going. We split ways and she met the anxious groom while I was with Amy as she finished up getting ready with her girls; it wasn't long before everyone was off to the venue. 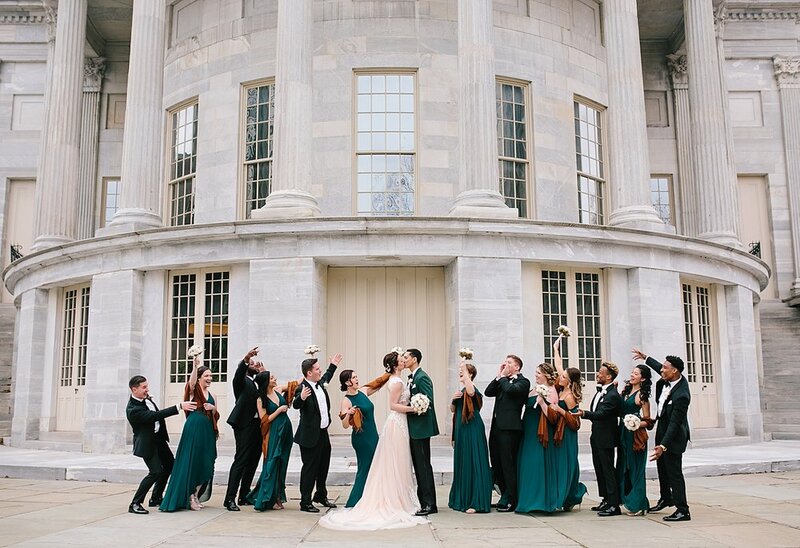 Anthony Wayne House is just stunning! Guests began to arrive with fans in hand and we're back to where we started the recap of this day. 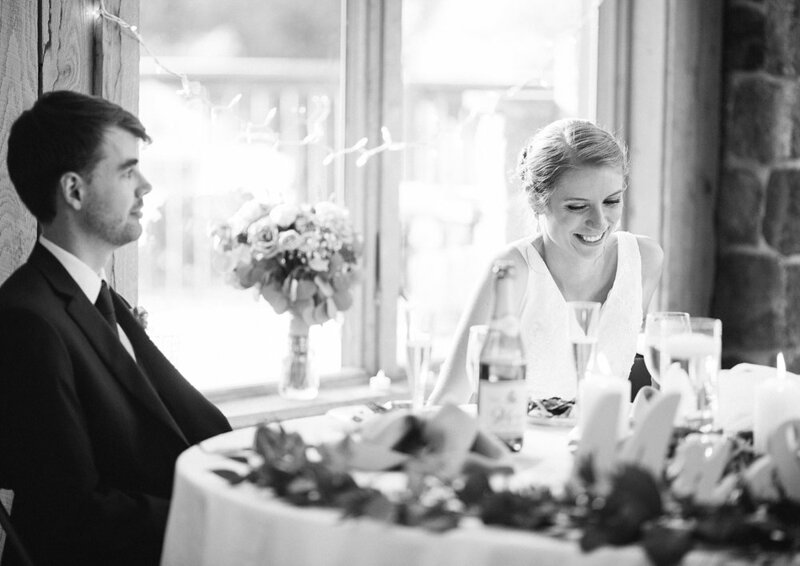 One of my favorite things on a wedding day is capturing expressions. 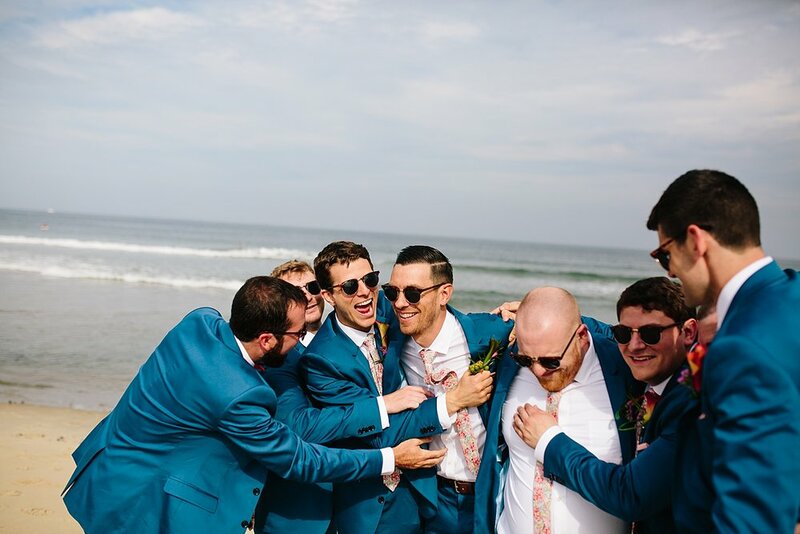 Wedding days just bring out these overwhelming and raw emotions, like Jamie tearing up when he saw his bride and then again while she was saying her written vows. It's just too much! I adore preserving those moments, forever. 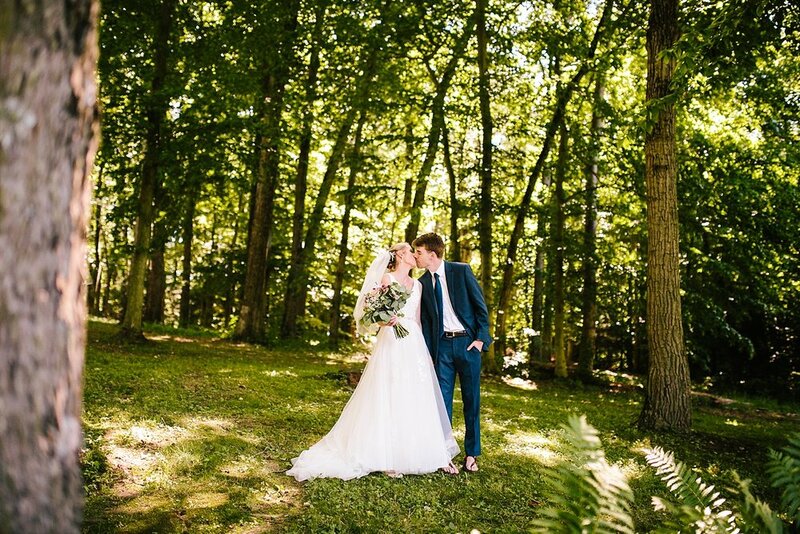 After their sweet ceremony we took the bridal party over to this gorgeous wooded area before sending them to enjoy cocktail hour, and the light just poured onto Amy and Jamie for their portraits! I could have been there with them all day long. 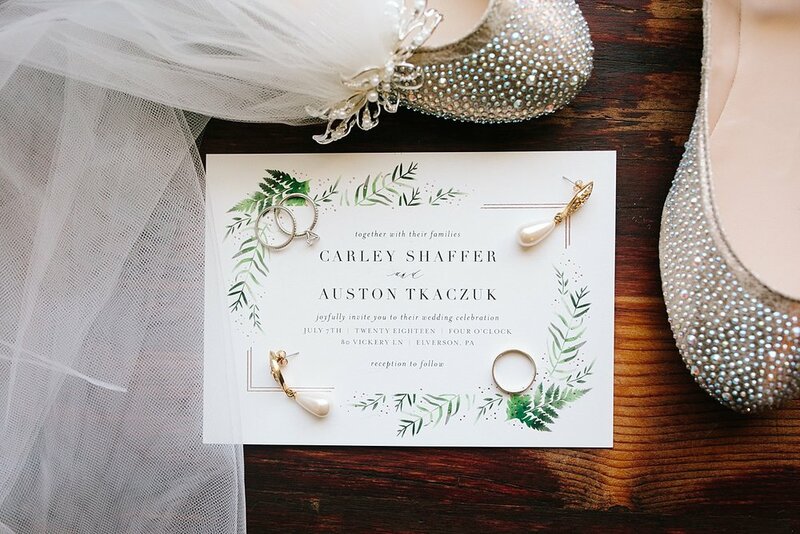 Meanwhile, beautifully elegant and perfectly-summer details greeted everyone as they walked into the tent for the reception. 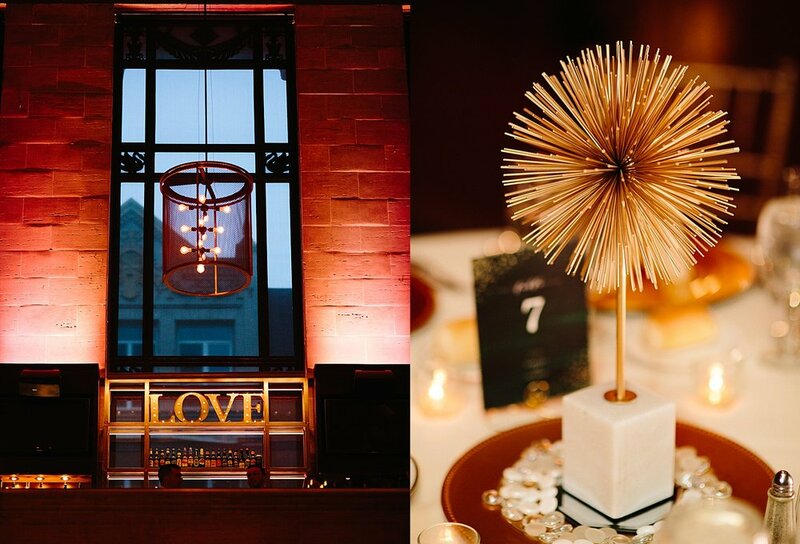 A grand entrance, sweet first dance (with a little cufflink-meets-hair moment), and speeches highlighted the evening. We snuck Amy and Jamie out for a final night portrait in between their cake cutting and dancing the night away. Overall the day could not have been better! A twinklelight lined tree, s'mores, and underdog and unicorn masks closed out our night. 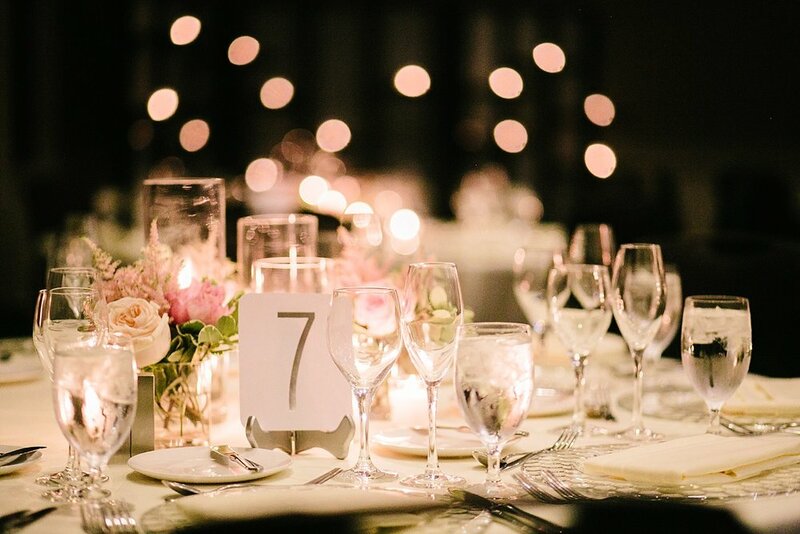 A simply increidble summer wedding. Be sure to soak it all in below! 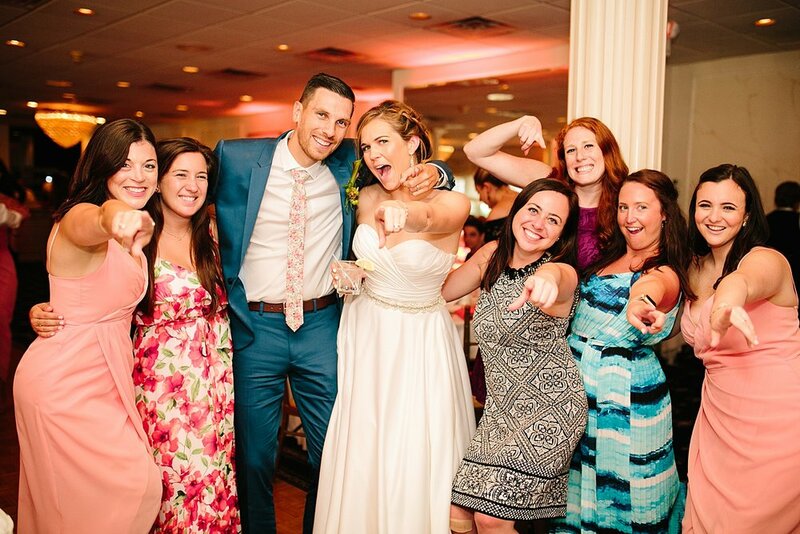 Congratulations again Amy and Jamie! This memorial day weekend I met Ronny at Hotel Indigo where she got ready with her girls before heading to the Baltimore Streetcar Museum. This girl had a smile on her face all morning that I just couldn't stop capturing! The joy that filled the room was contagious and I was thrilled to carry it around all day with me. I snuck out to the library to meet Jon, all decked out in his custom Baltimore suit (one of the coolest suits ever - including baltimore socks, cufflinks, red tie and all). 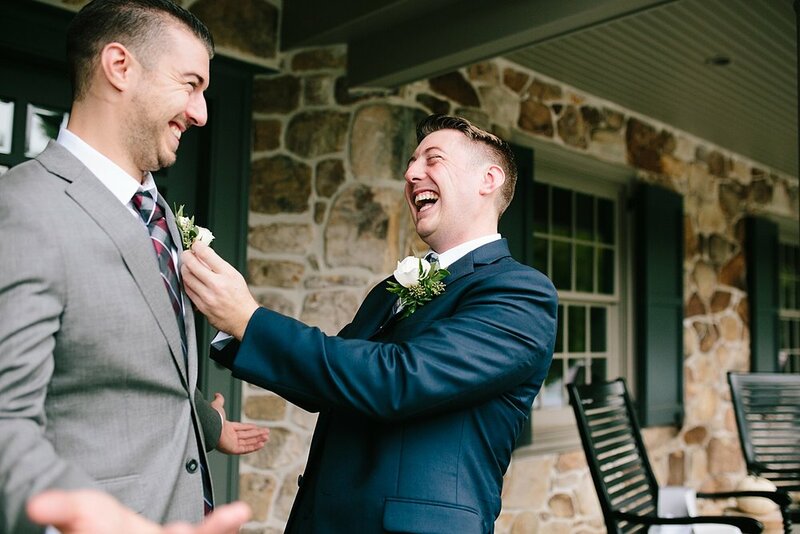 As the groomsmen arrived, hugs were given, beer was had and laughter filled this space, too. 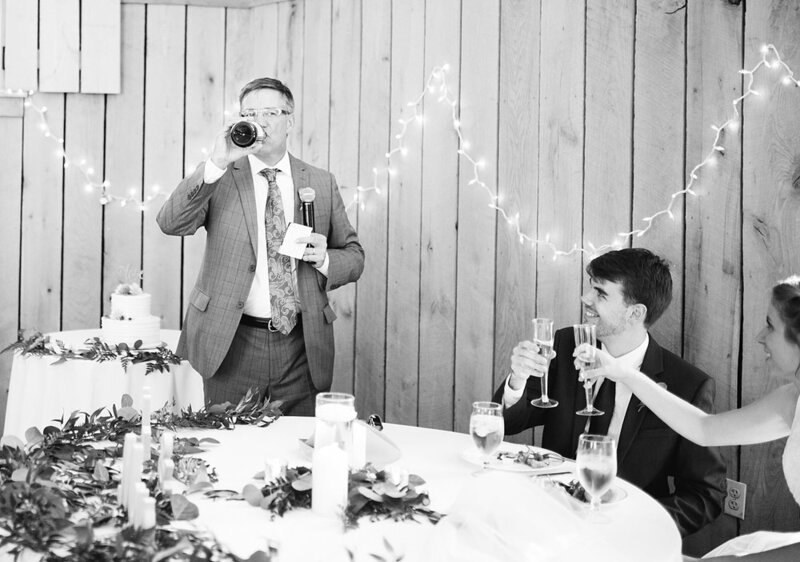 The moments ticked by, the guys left the space, and Jon waited patiently to see his bride. Ronny was a vision in her beautiful dress and before long it was time for her to meet Jon just down the hall. 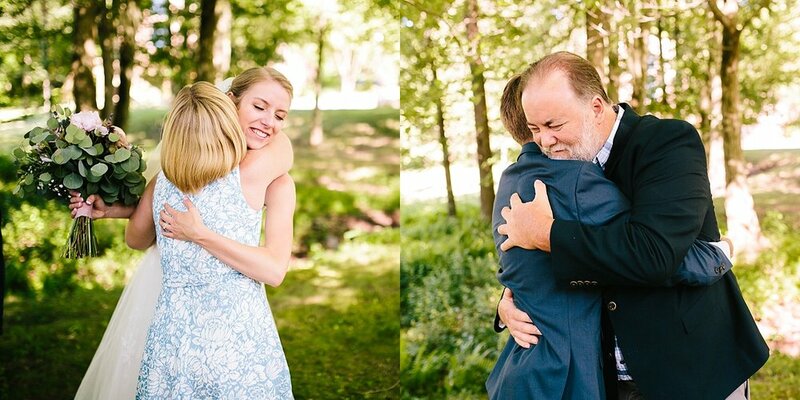 The joy that Ronny emanated became the sweetest tears of joy as she walked up to her husband to be. 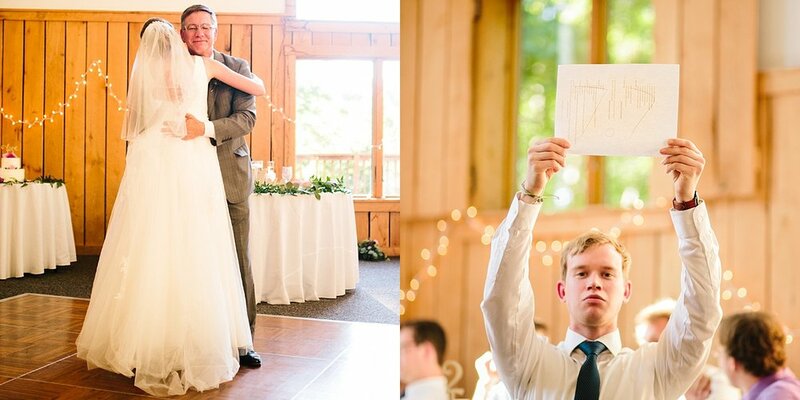 Their first look was so full of love, but my goodness, what came after that... Ronny and Jon decided to write their own vows, for just the two of them. 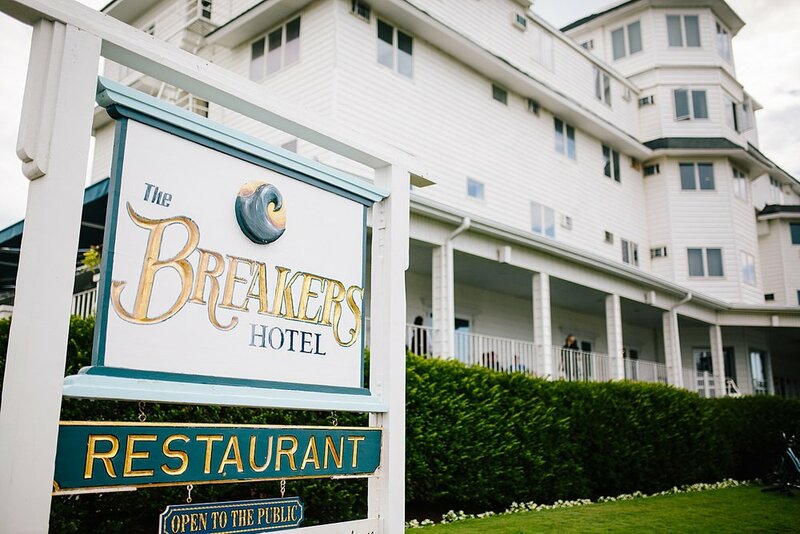 So, after their first look and a few portraits they sat down together and read their vows a loud to one another. 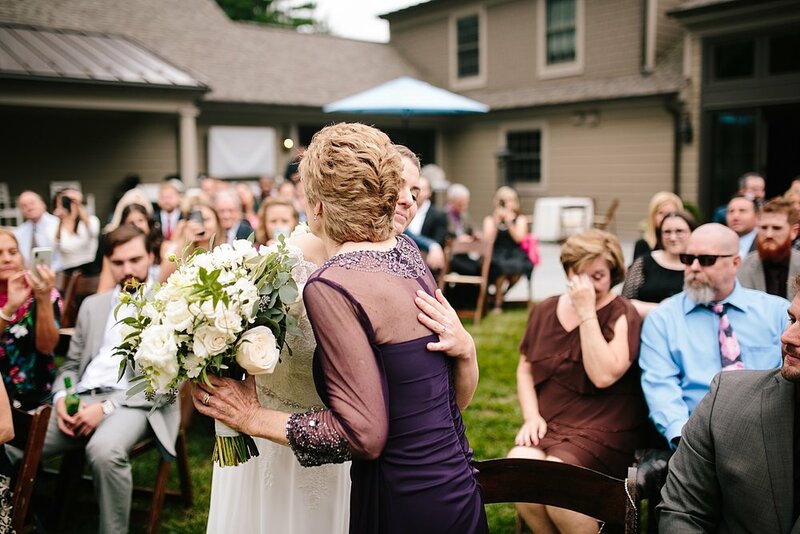 It was so difficult to hold back tears as these two poured into one another their memories, admirations, and promises to each other. It was such a beautiful moment that I can only imagine these two will cherish forever. 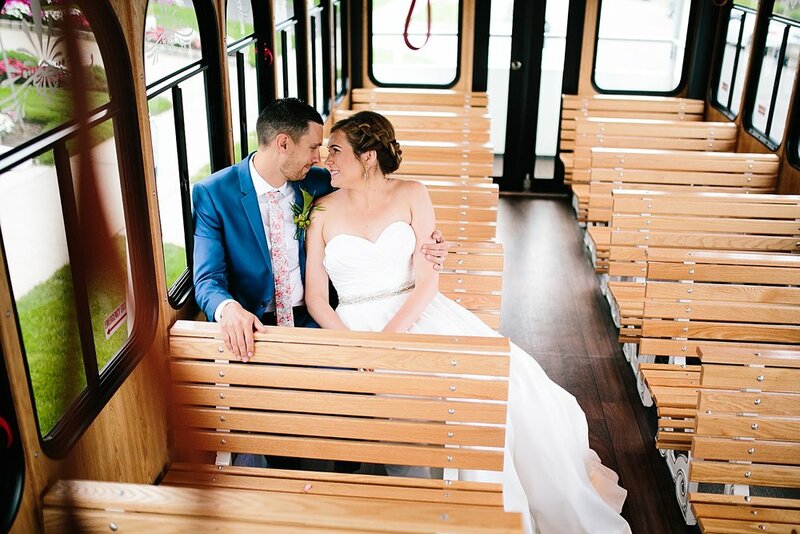 Soon after we made our way to the Baltimore Streetcar Museum and snuck in a few portraits just before we got back into the cars to go in for the ceremony. Literally - sheets of rain came pouring down the moment we closed the doors! The rest of the day was on-and-off showers, which didn't keep anyone from having the best time. 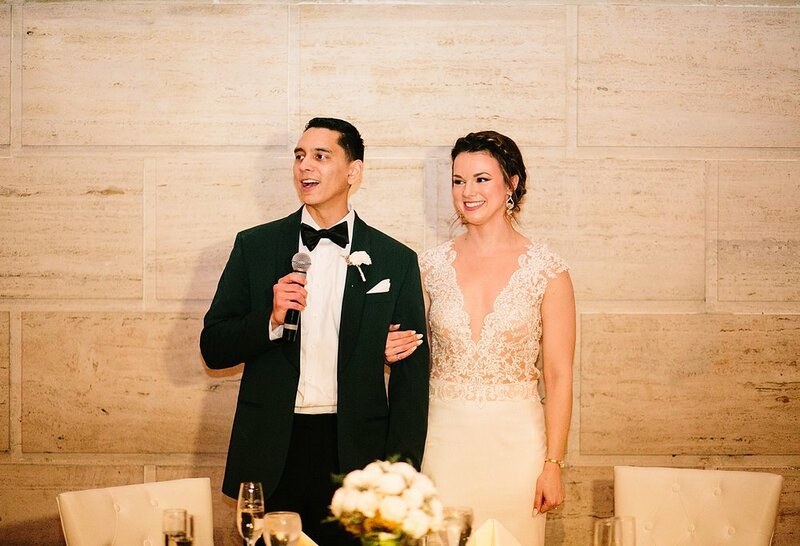 From their heartfelt ceremony (including mad-lib vows! ), to some of the best food I've ever tasted (thank you The Food Market! ), to the streetcar rides for guests, the whole day was just extra full of life! And the details of the day!! Ronny made practically everything, including their incredibly detailed cake toppers and pinwheels for her bridesmaids! Such a colorful and beautiful day. The blog version of a P.S. : Very quickly we have to talk about this venue. First, I am absolutely in love with this space! But you need to know, one of the primary reasons Ronny and Jon chose Baltimore Streetcar Museum is because it only takes a few events their to fund the museum for the whole year. 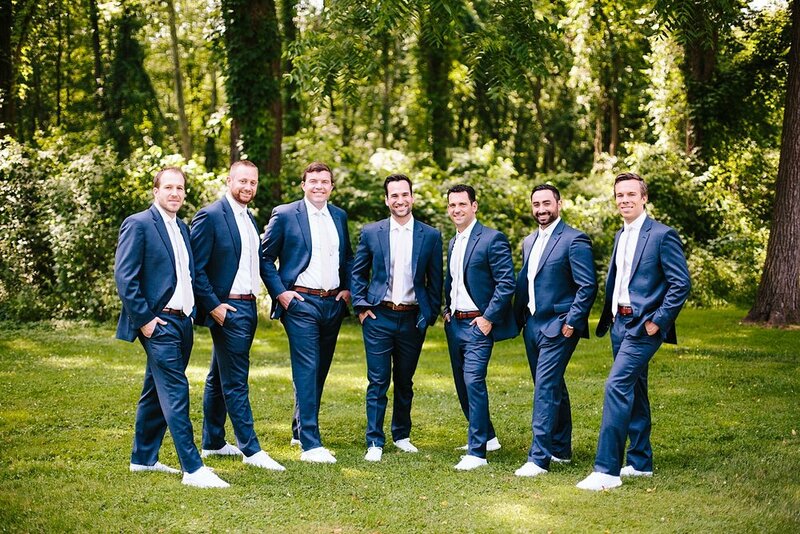 This means that on top of the fun, unique and antique vibe, Ronny and Jon knew that choosing to have their wedding there meant giving back to the community. And that is just something that blows me away about these two. 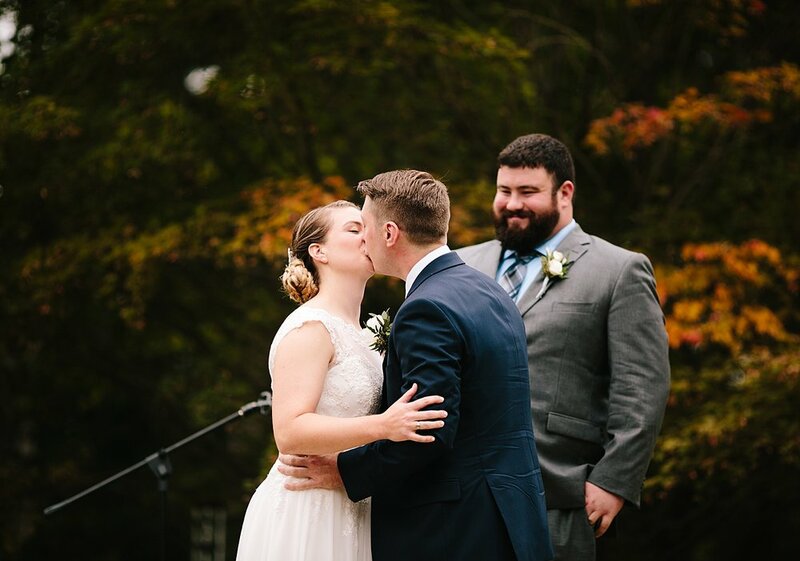 The friends, family, and even vendors at the wedding couldn't stop talking about how wonderful this couple is - and I couldn't agree more. Congratulations again Ronny and Jon!